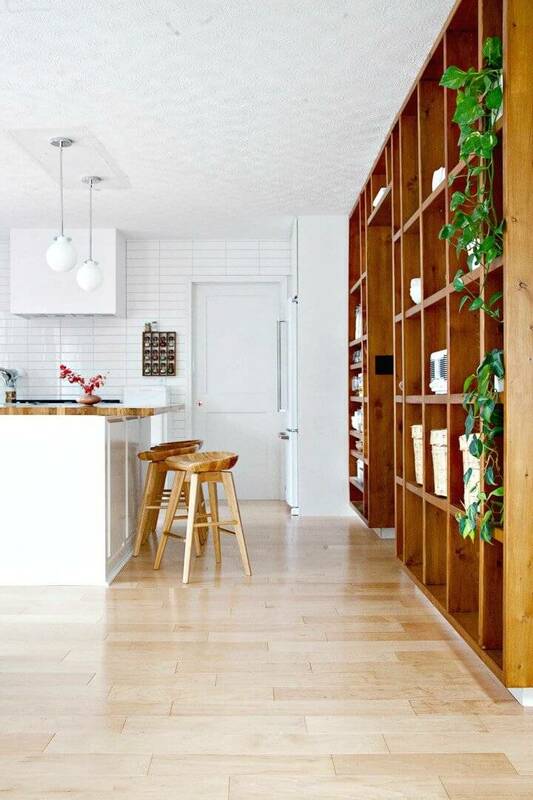 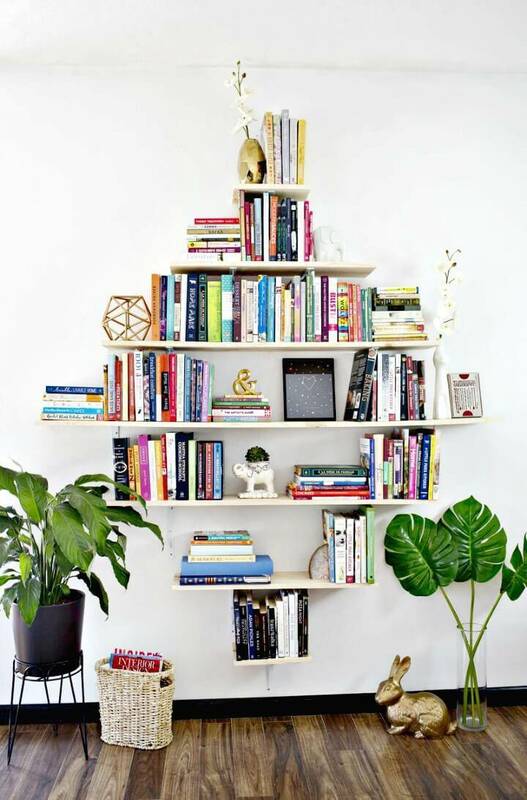 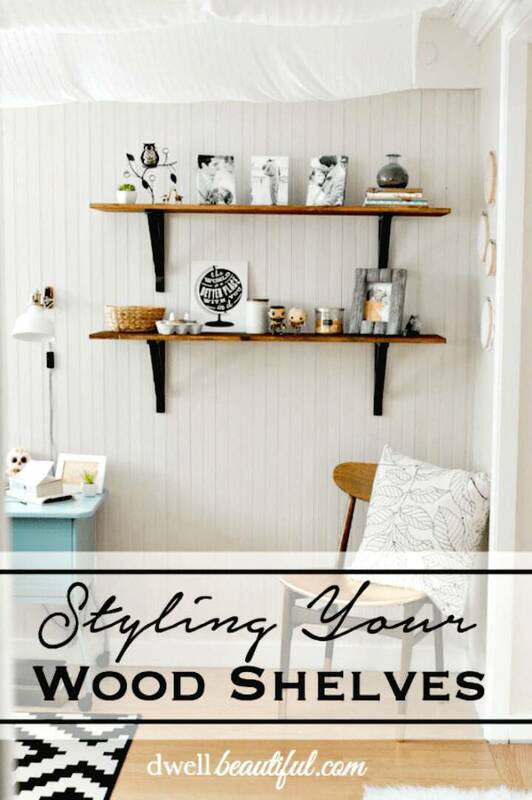 Every time you need to store the things up on the wall or you are just intending to boost your interior wall decors by installing some focal points in a particular interior room, the shelves are always what that comes at the top of your priority list! 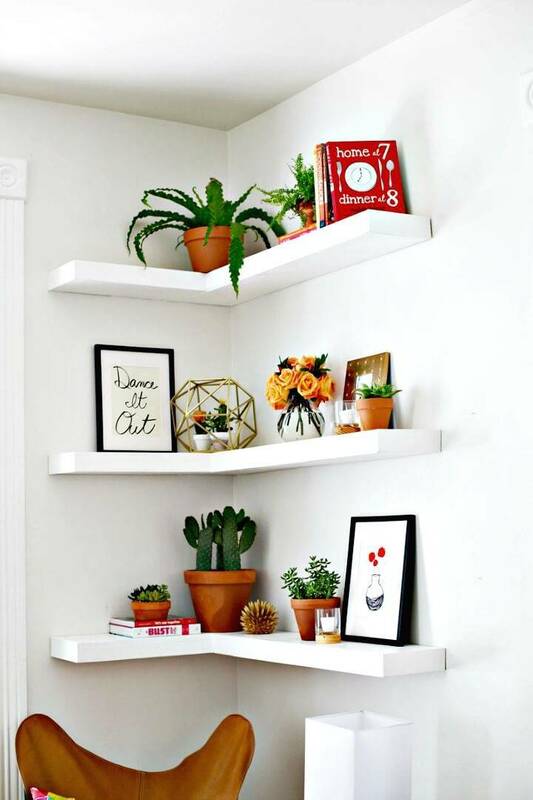 They are also a smart way to shift the floor clutter higher on the walls and hence then help maximize your interior space also! 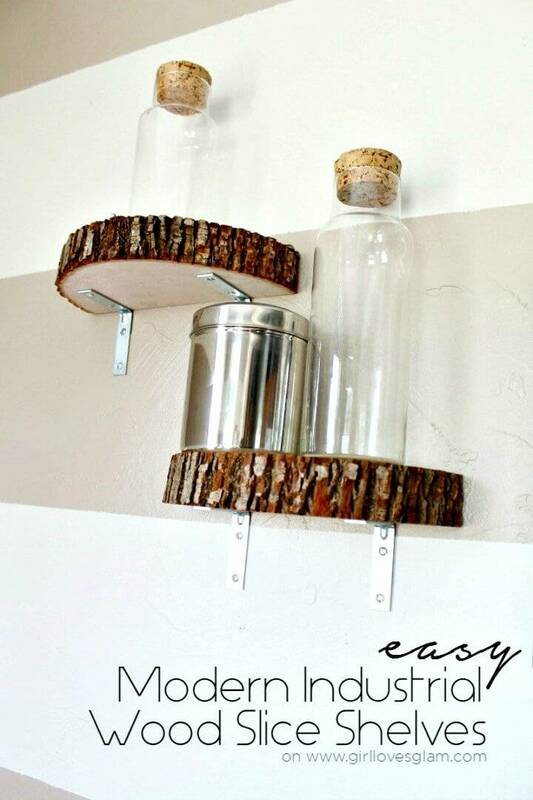 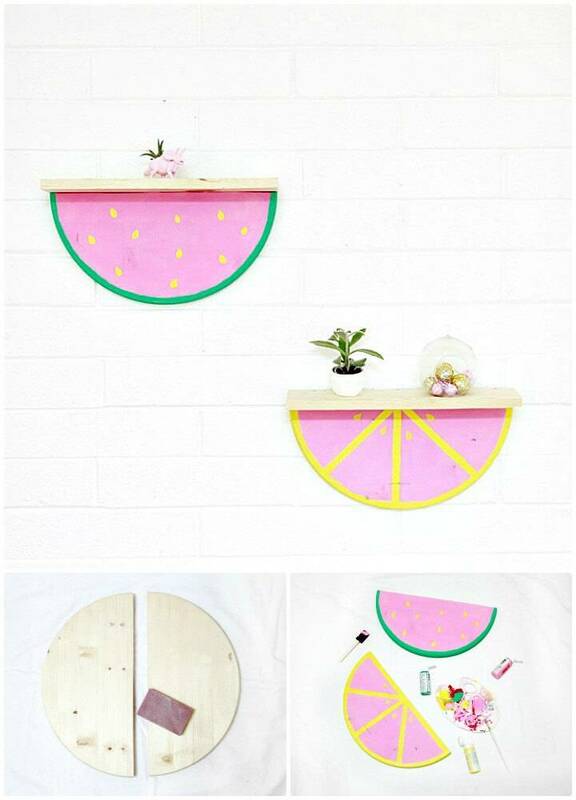 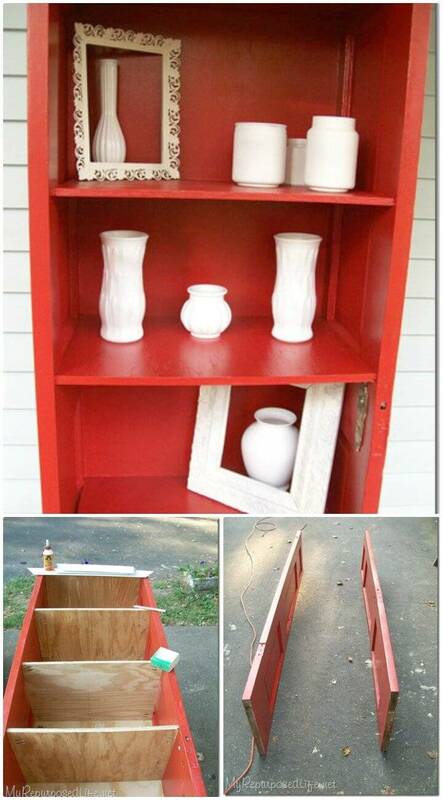 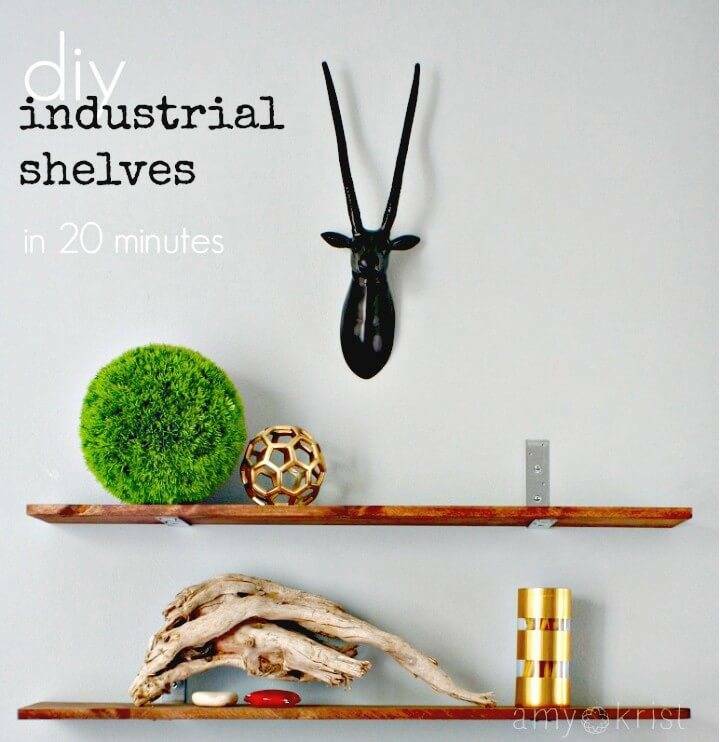 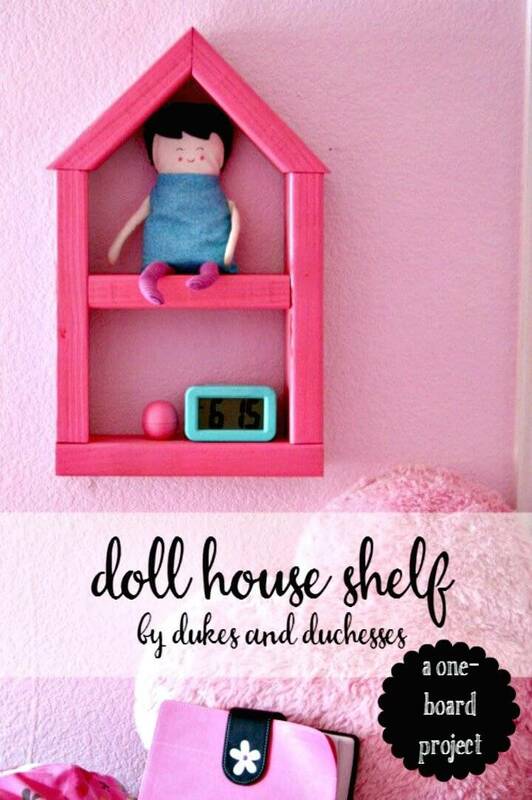 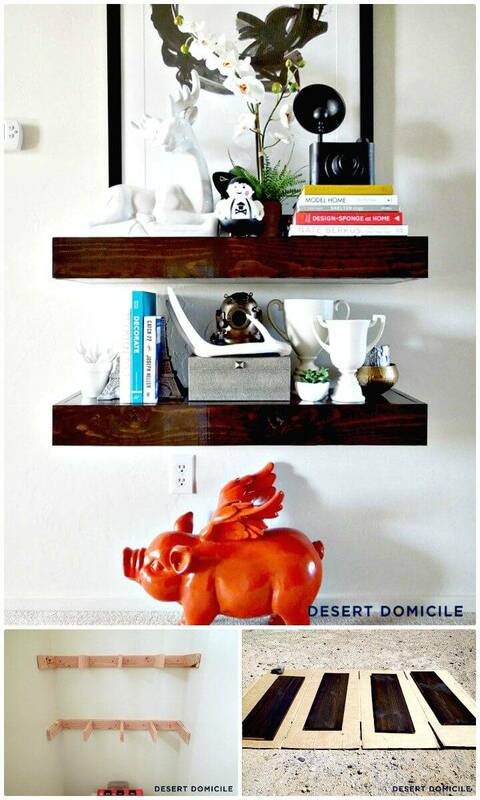 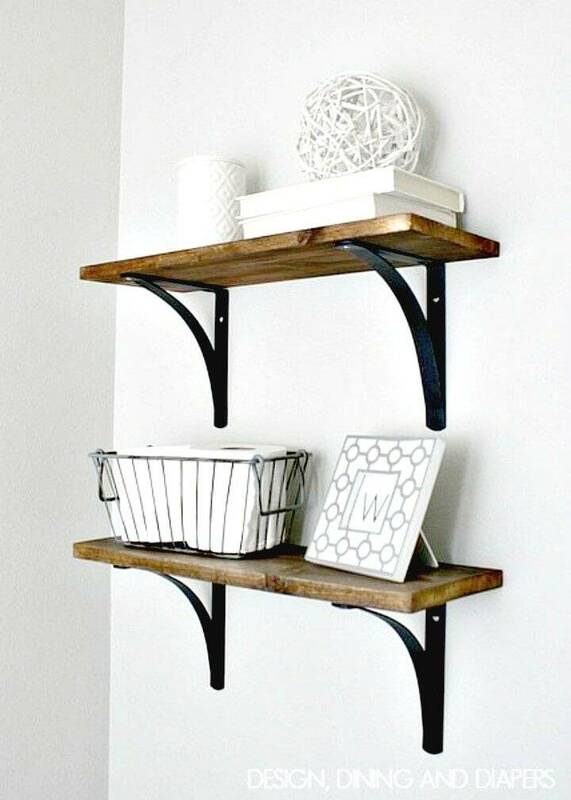 So, whatever your desires may be to install custom interior wall shelves, we have brought here these 109 DIY wall shelf ideas that will you to gain your favorite interior wall shelves without getting a bit expensive and the shelves you will install, will just be unbeatable in both durability and functionality and also in style! 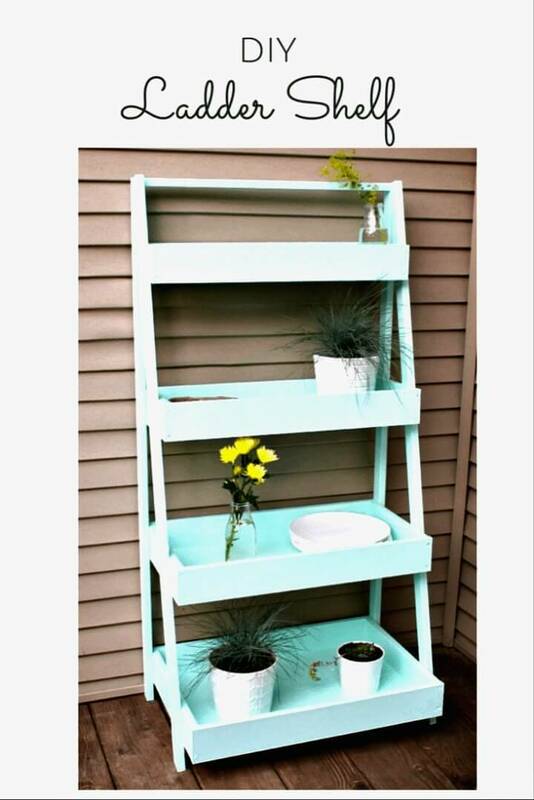 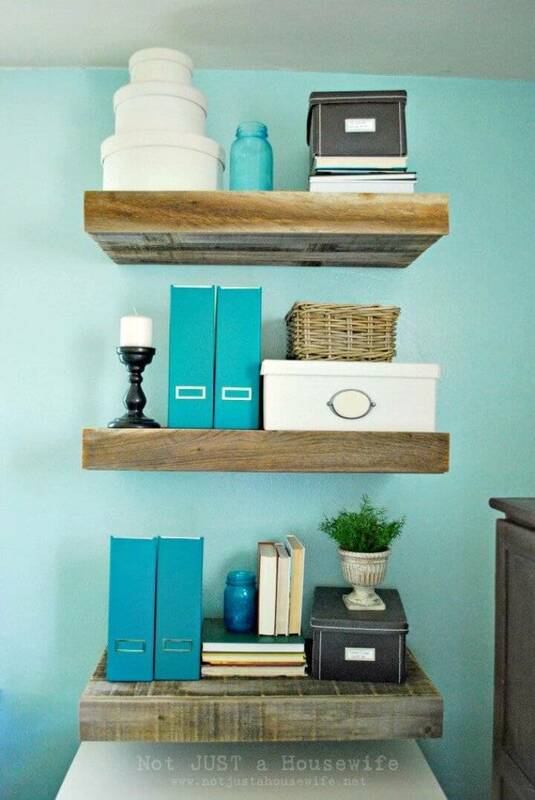 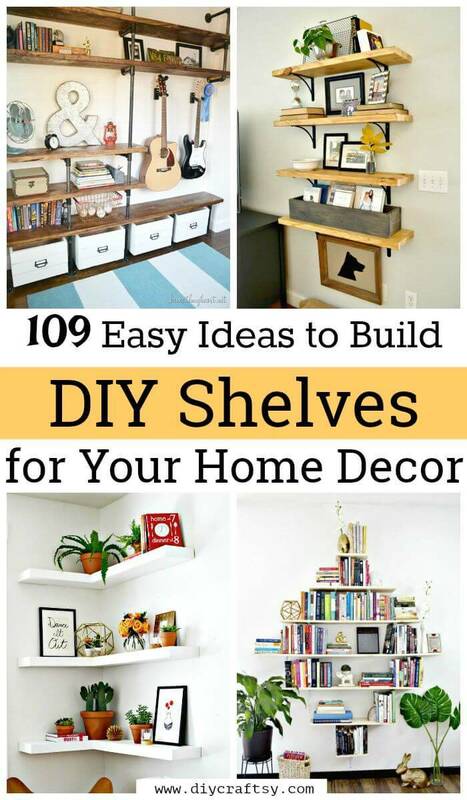 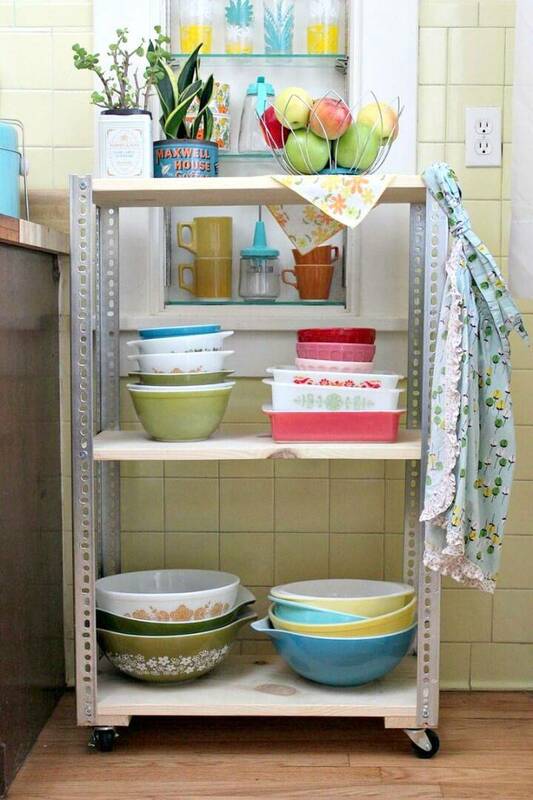 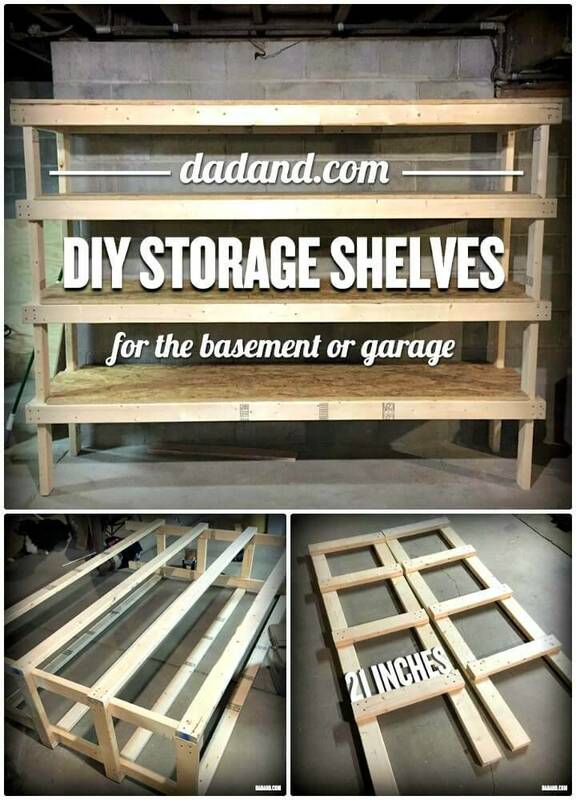 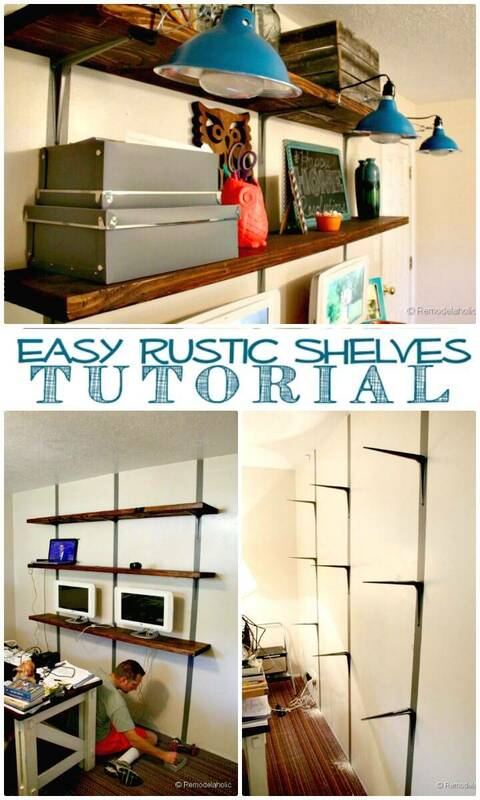 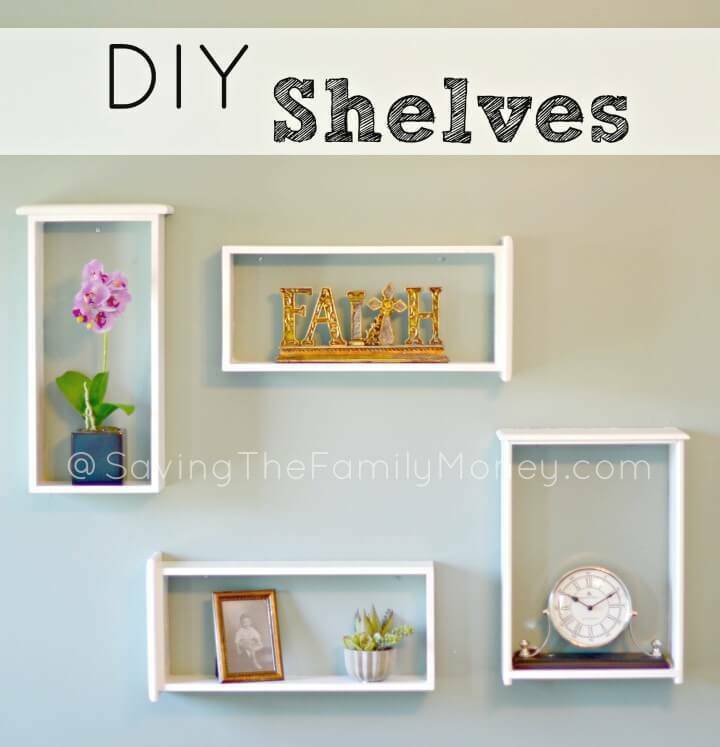 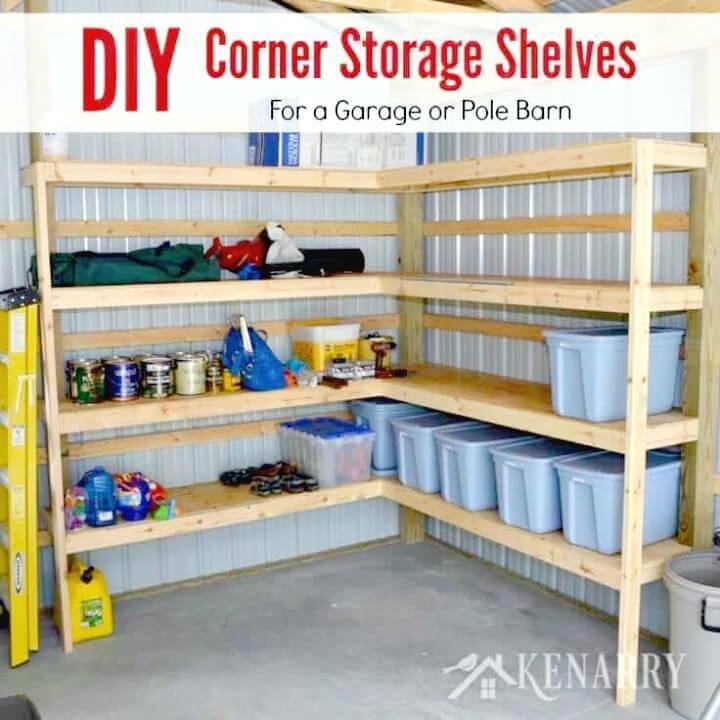 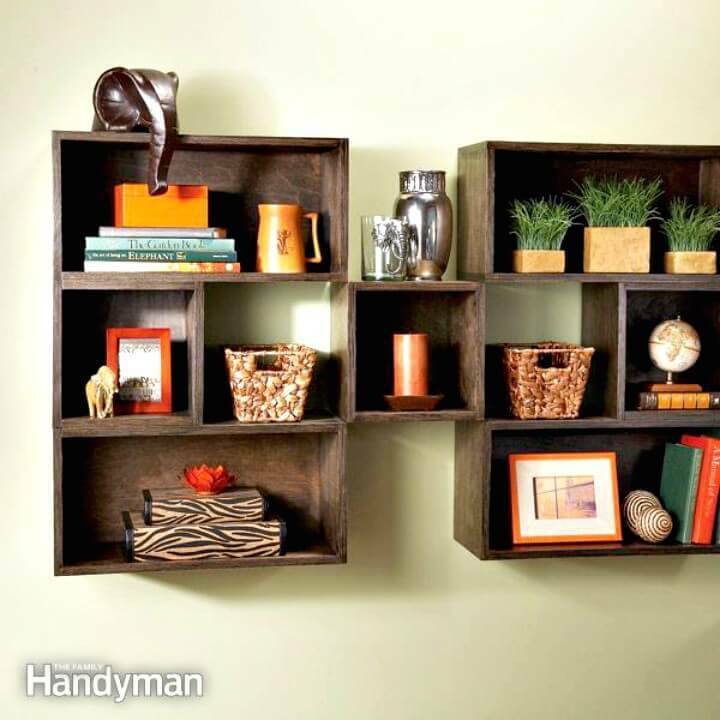 Just browse the large collection of 109 easy DIY shelves with step by step projects and see what type of shelves you are looking for to add to your interior walls! 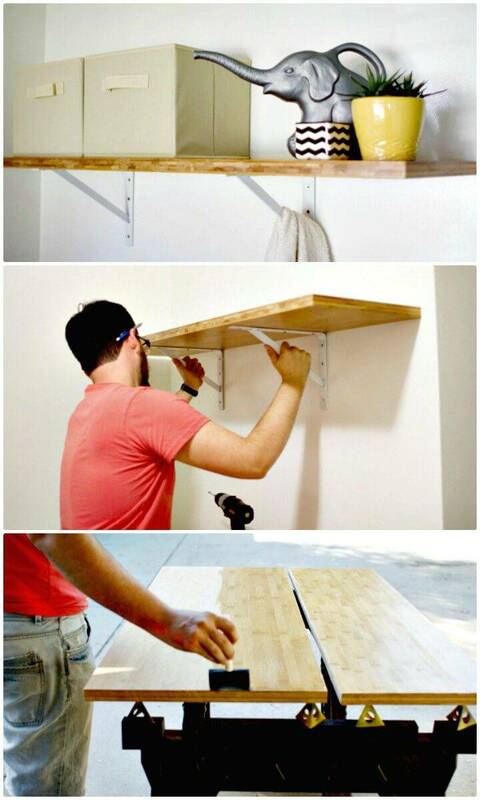 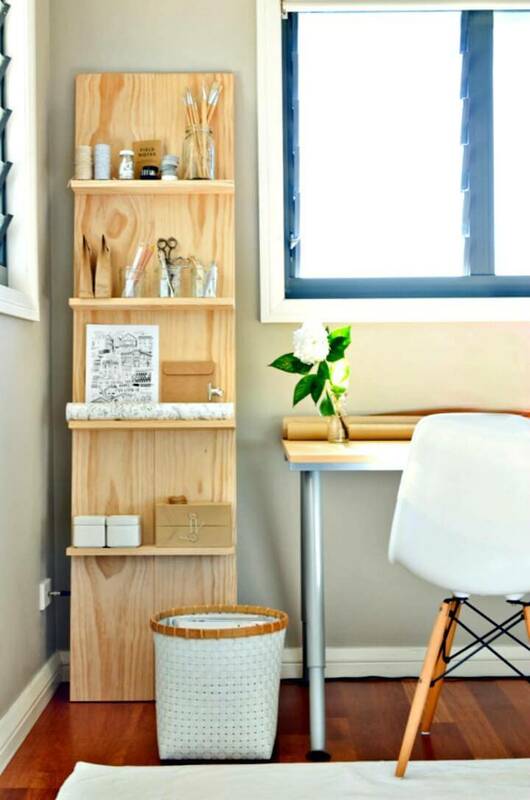 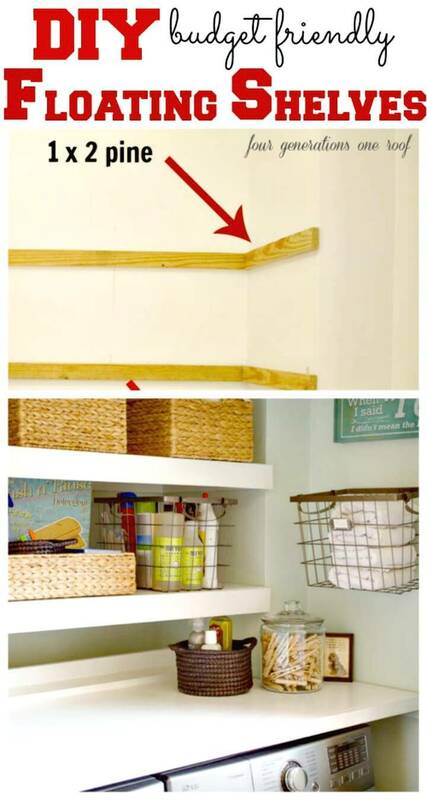 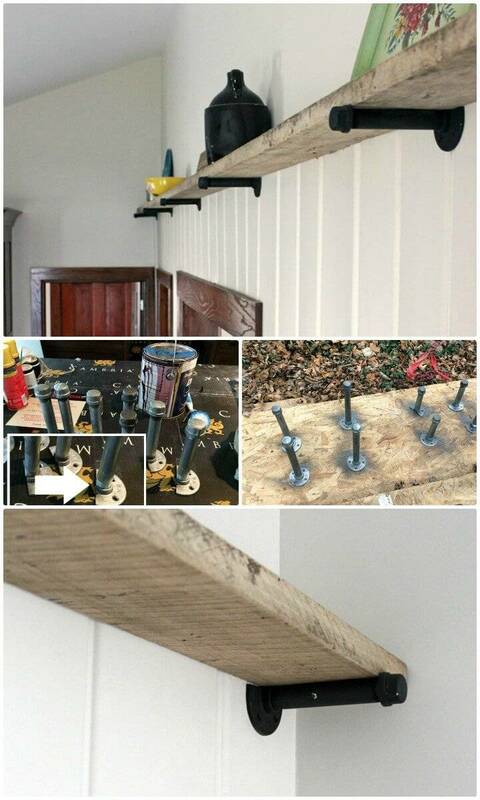 Install the normal wooden DIY shelves using lumber or pine wood lengths which can easily be installed on the angle metal shelf brackets! 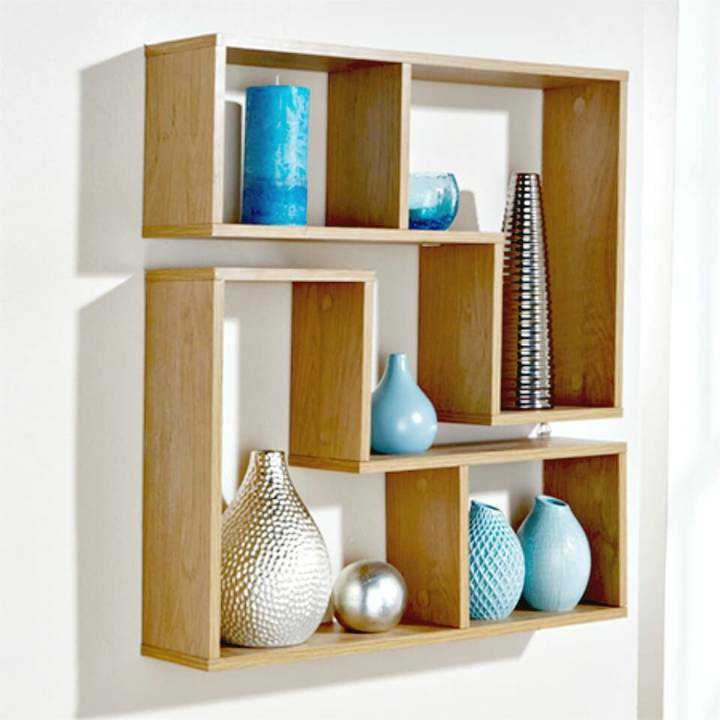 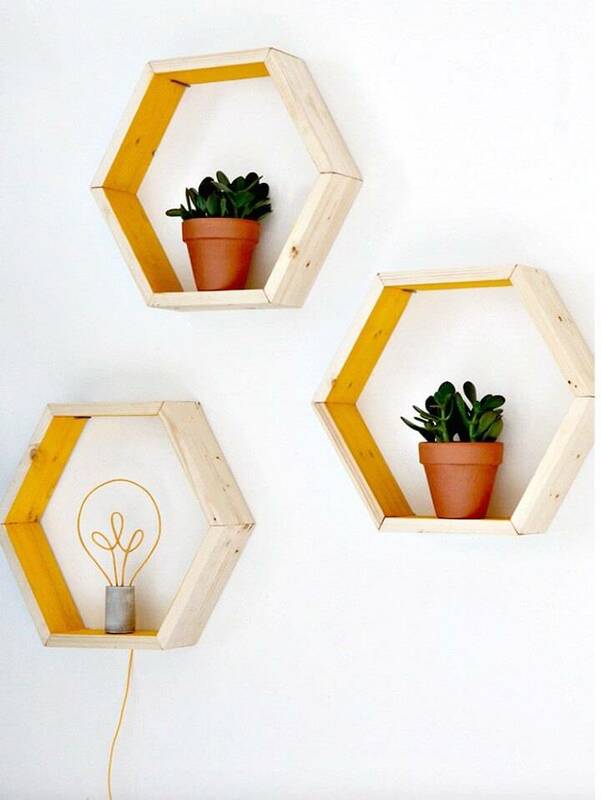 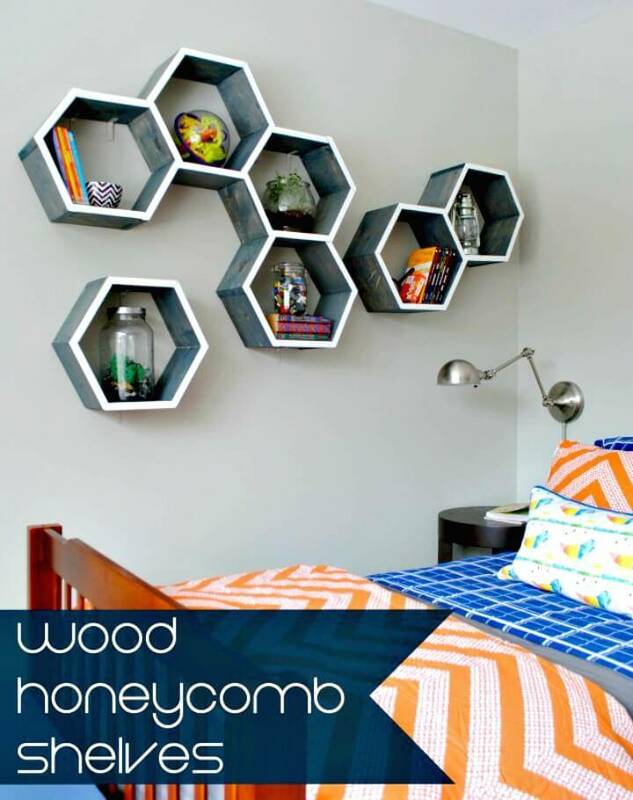 Install the precious hexagonal wooden shelves to your interior walls and spruce up your interior wall with brilliant geometrical décor statements along with getting amazing storage and display space! 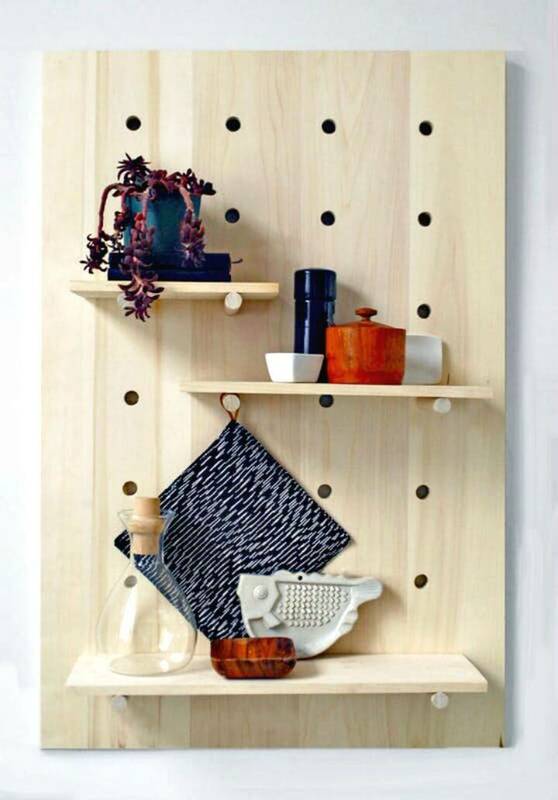 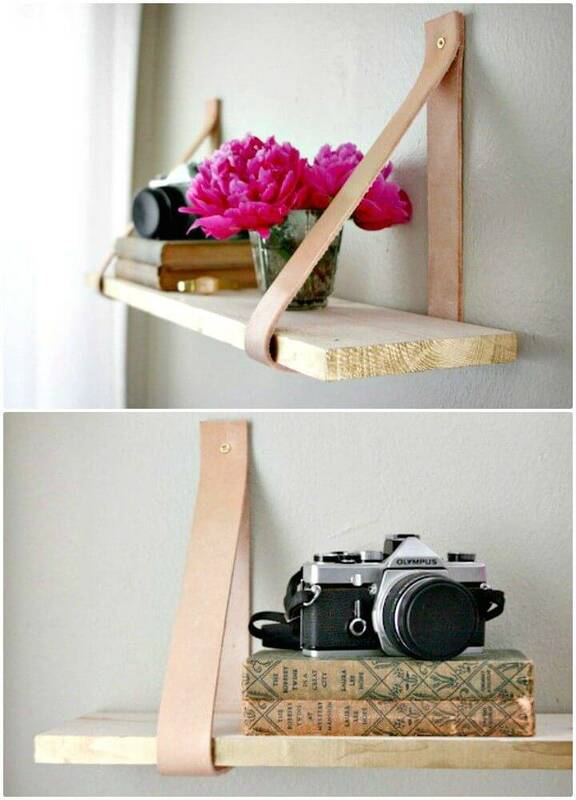 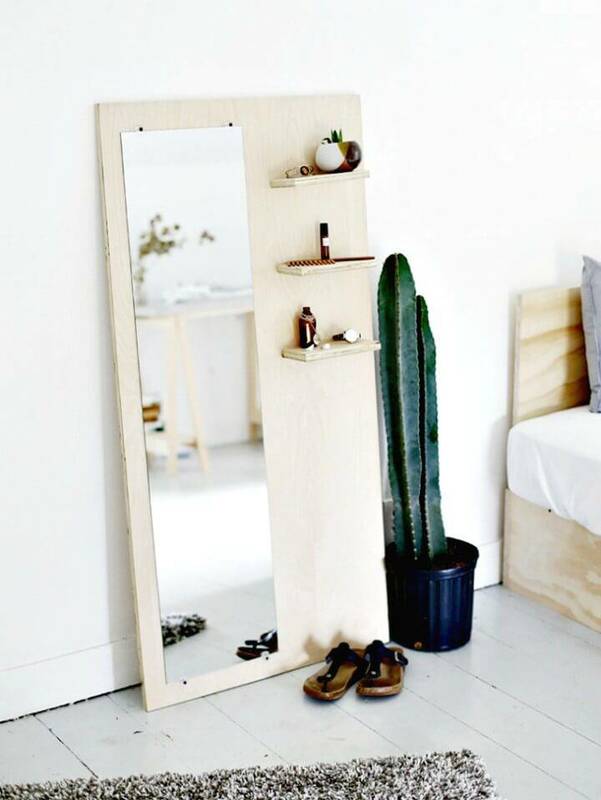 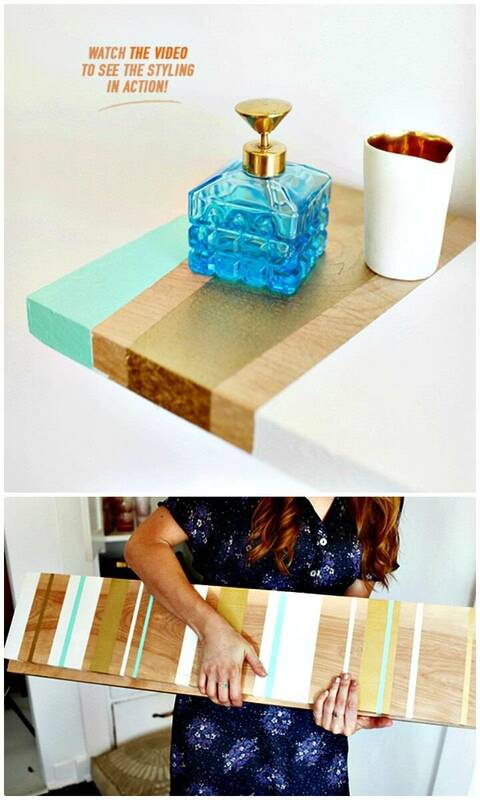 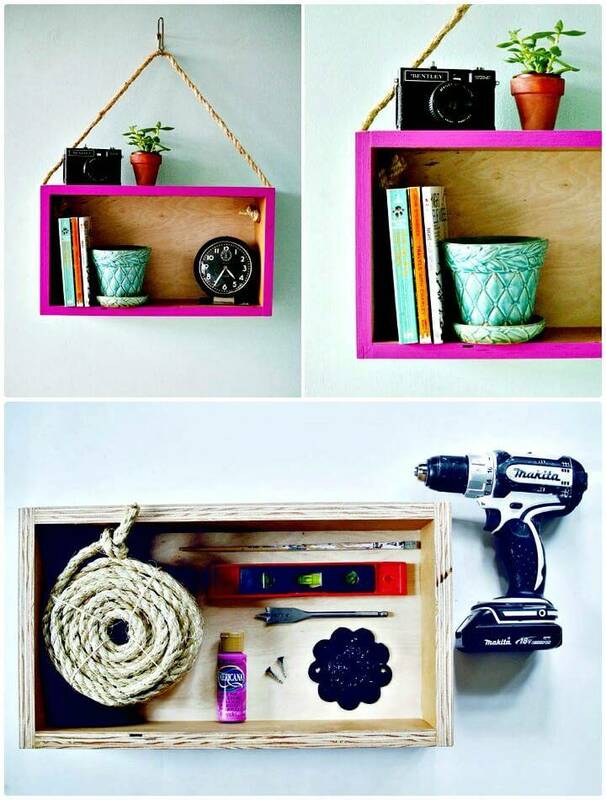 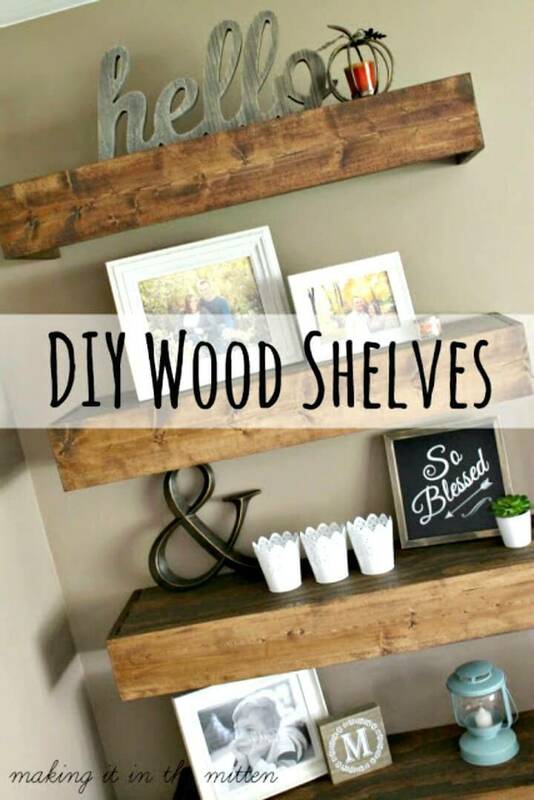 Make the beautiful wooden shelves at home that may come with beautifully incorporated lights and will be visible also at night! 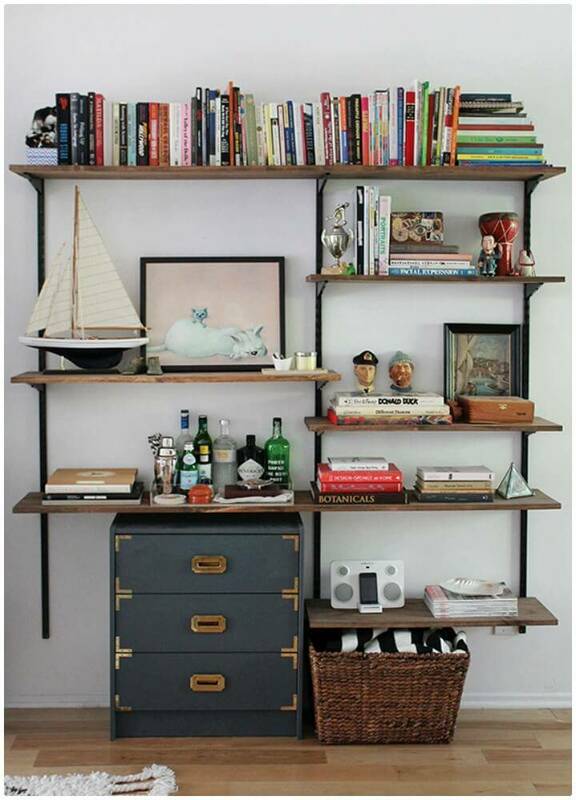 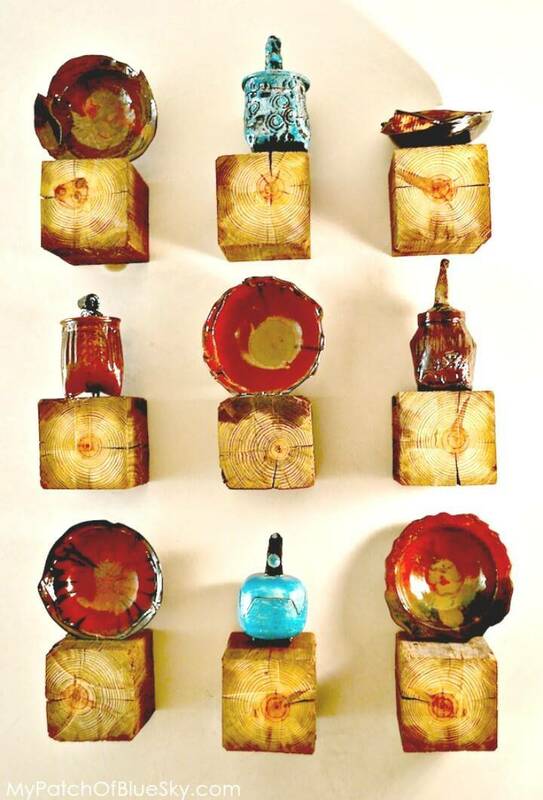 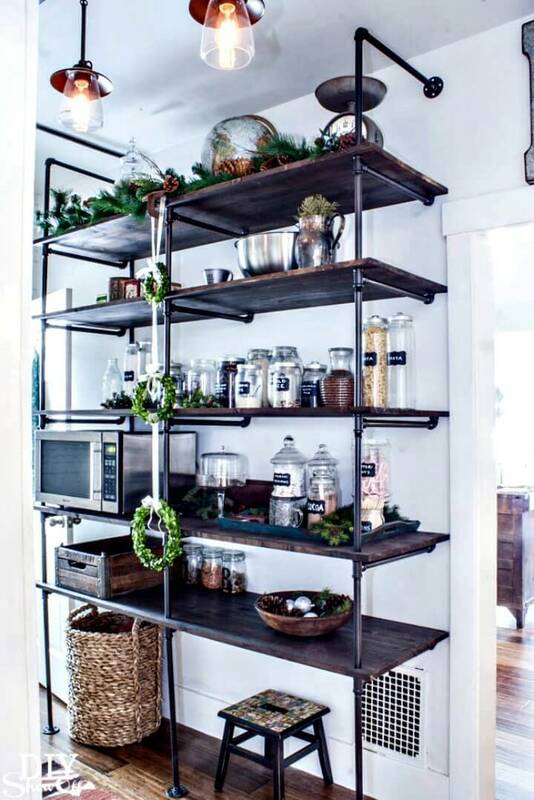 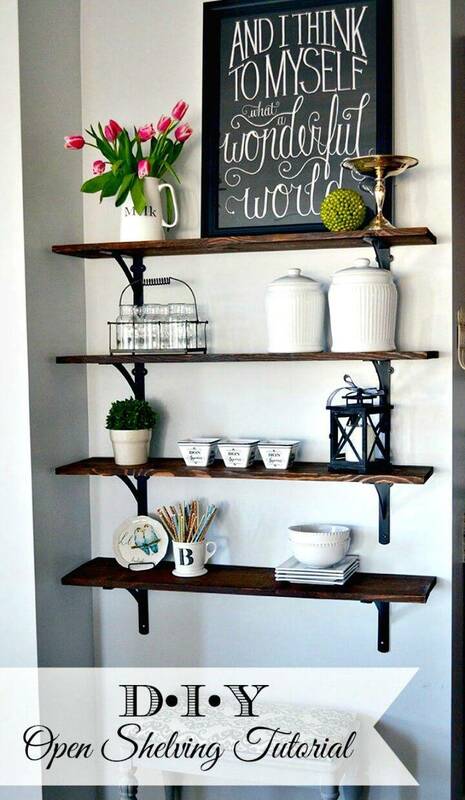 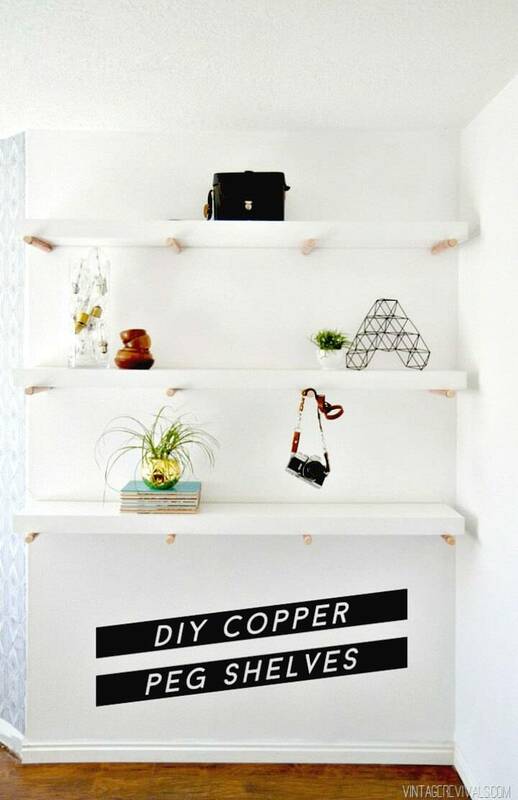 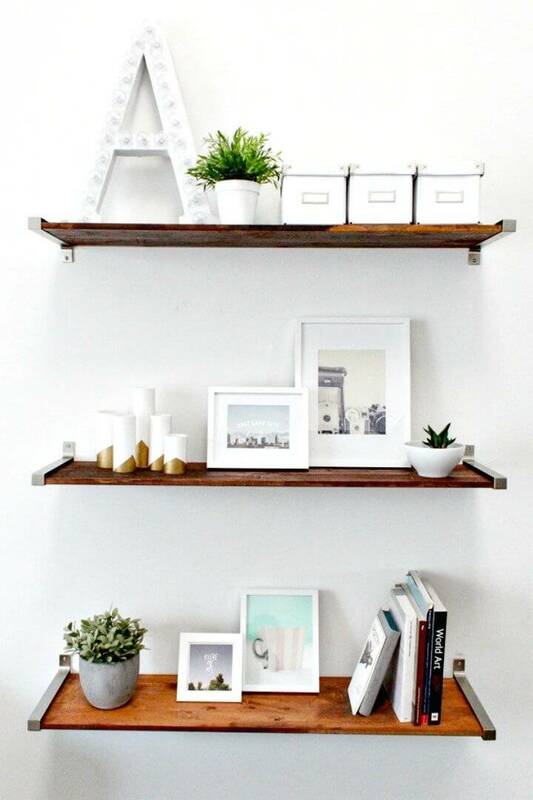 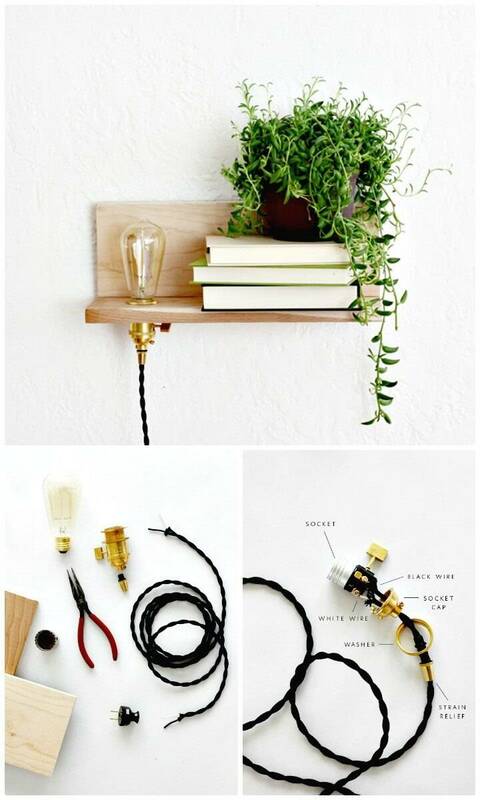 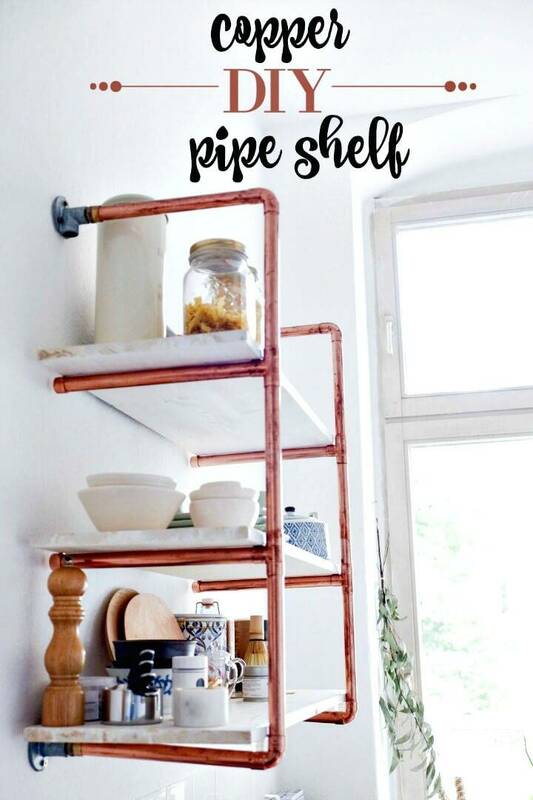 Install also the brilliant wall shelves using copper pipes and wooden planks, get inspired by a lovely sample given below that will also add great visual details to any of your targeted walls! 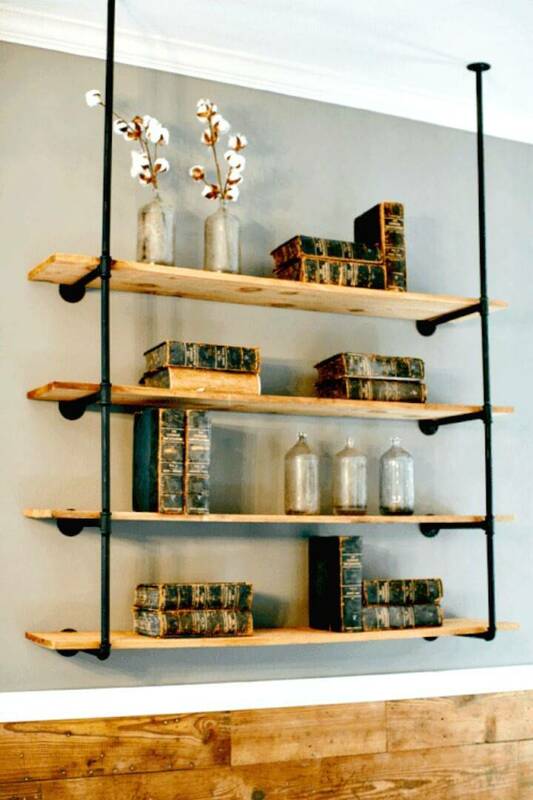 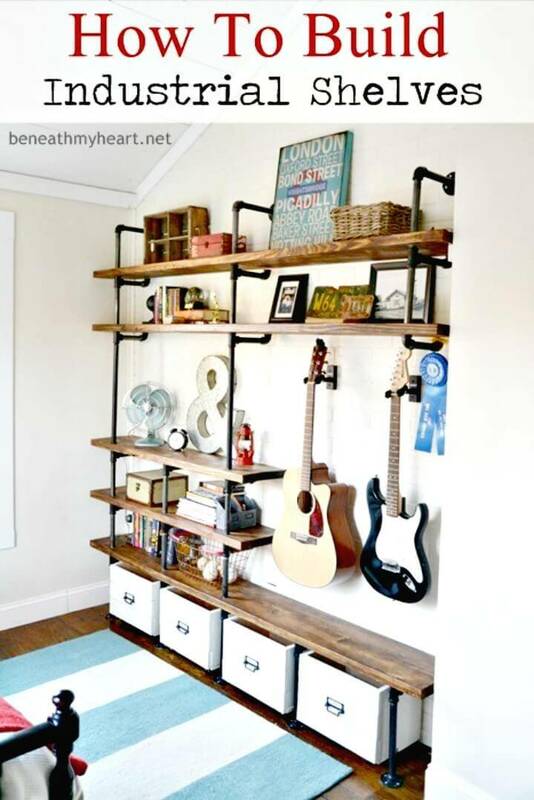 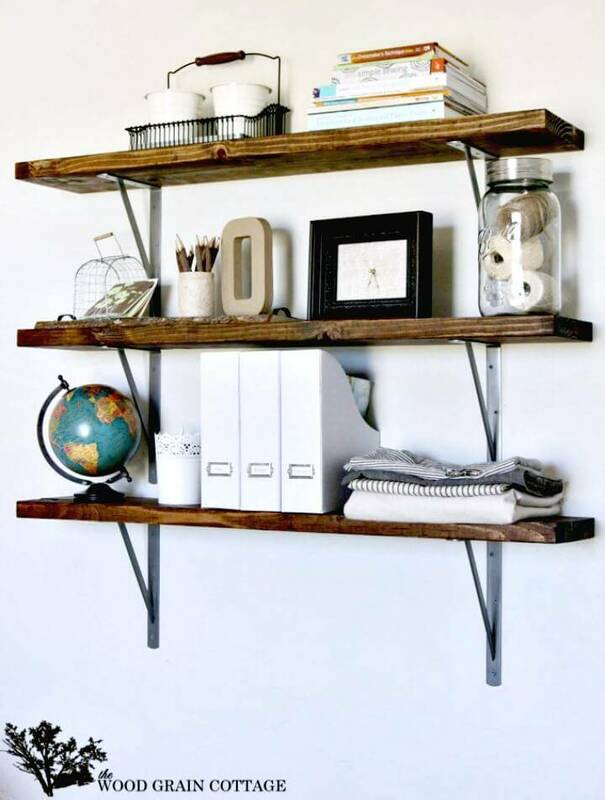 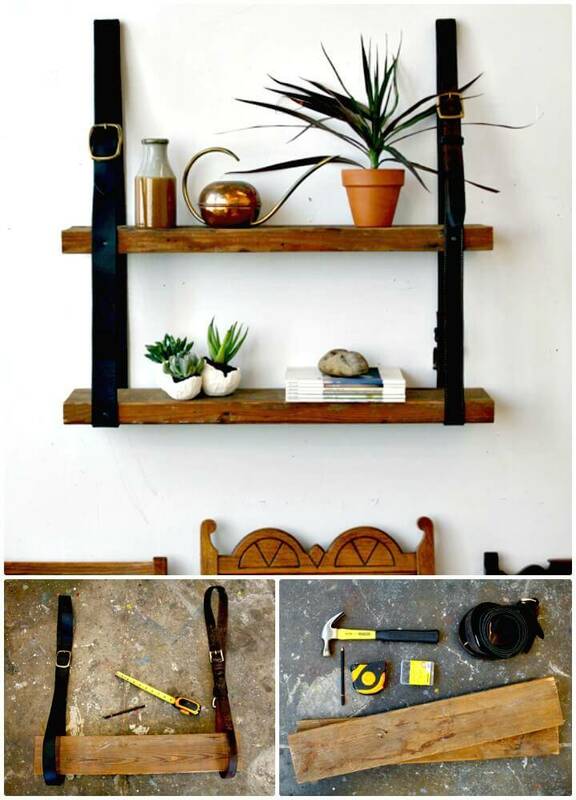 Make the hanging shelves at home that can beautifully be inserted in the wall hanging leather loops and also spruce up your interior walls by installing industrial style shelves that will come metal pipe shelf brackets! 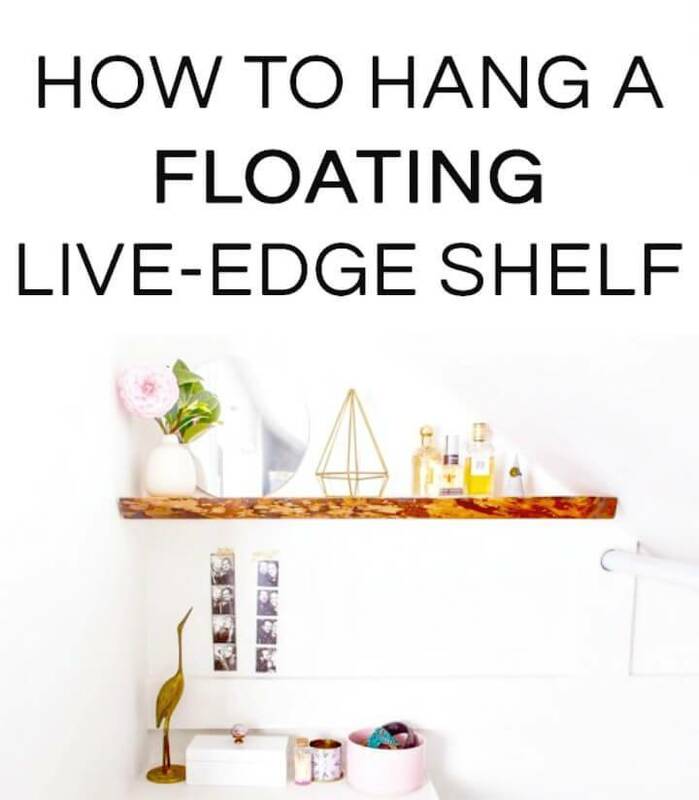 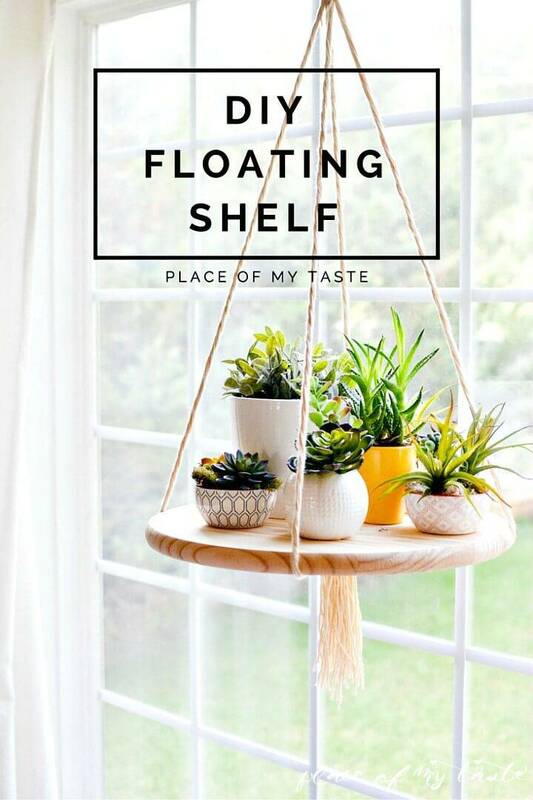 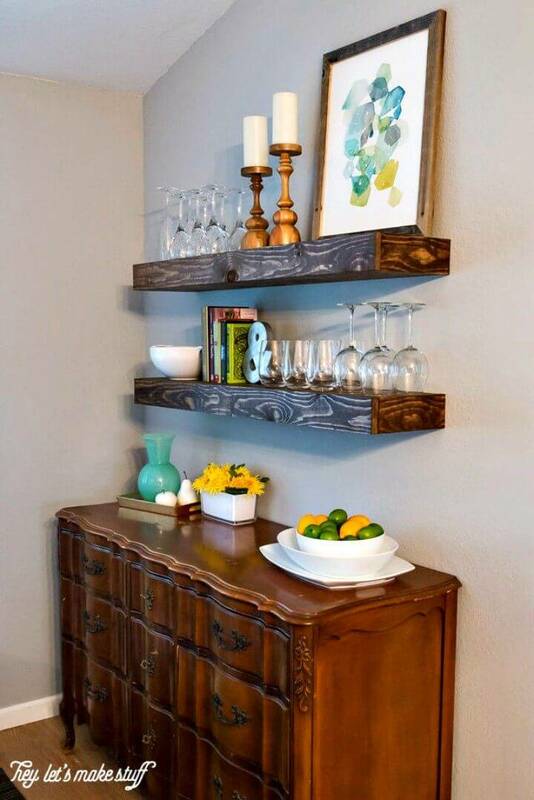 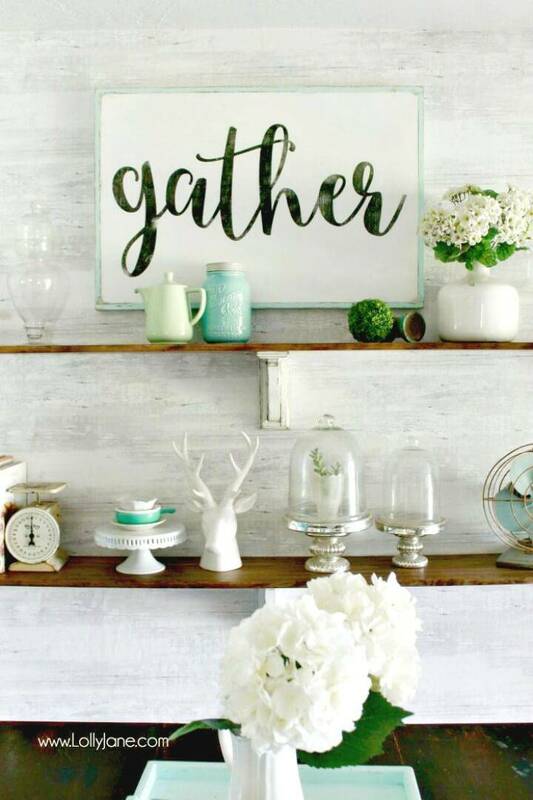 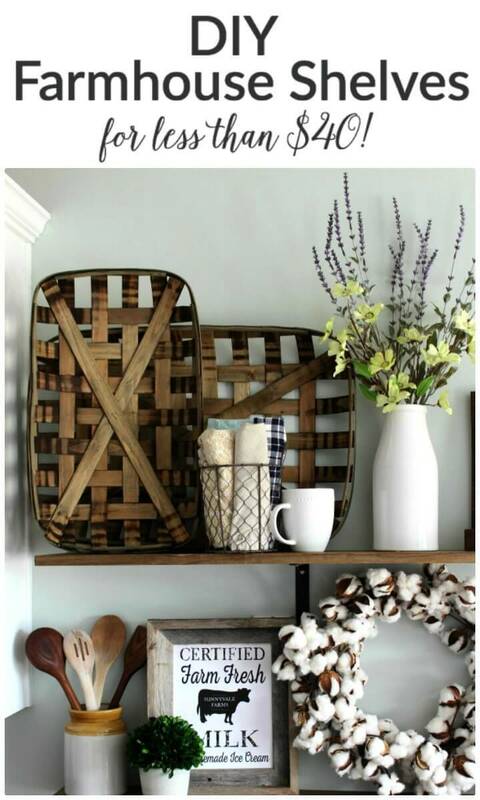 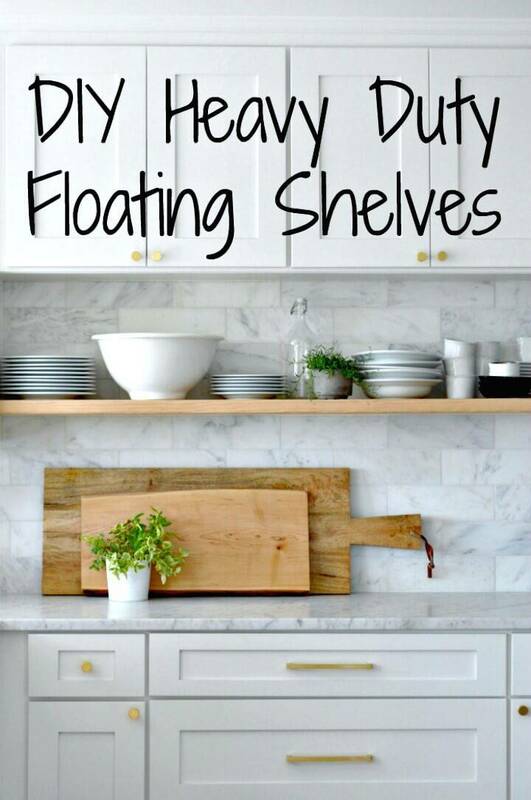 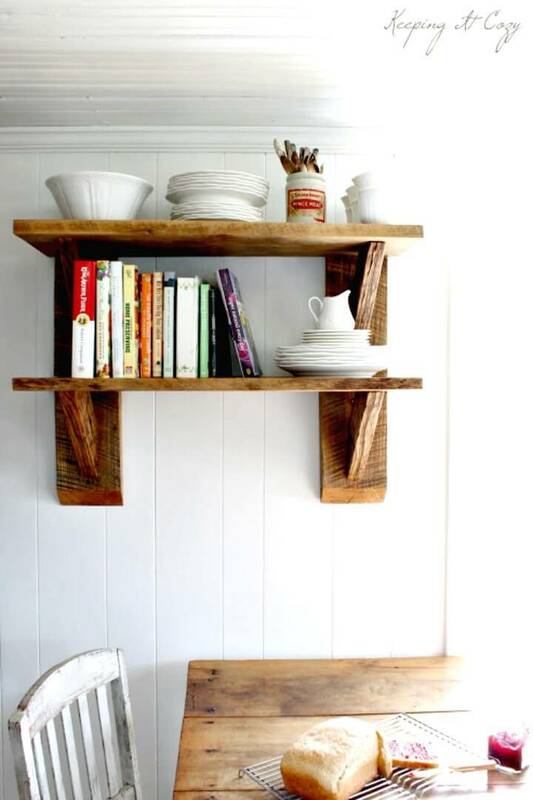 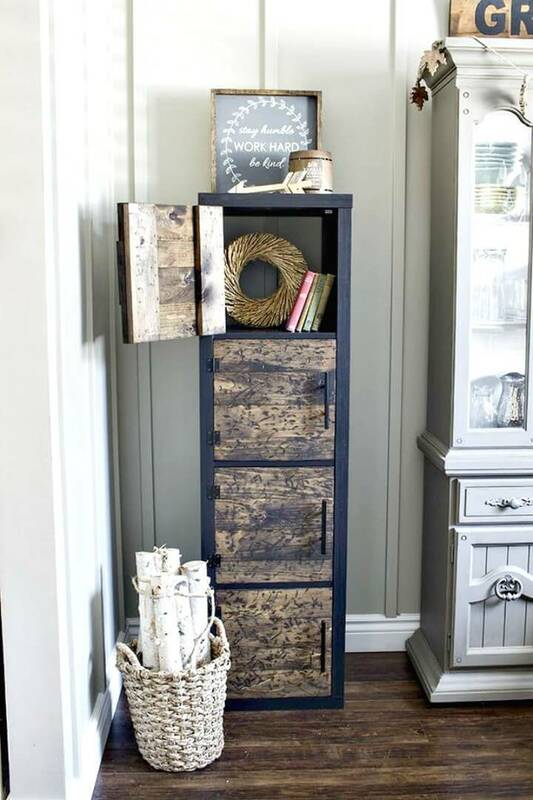 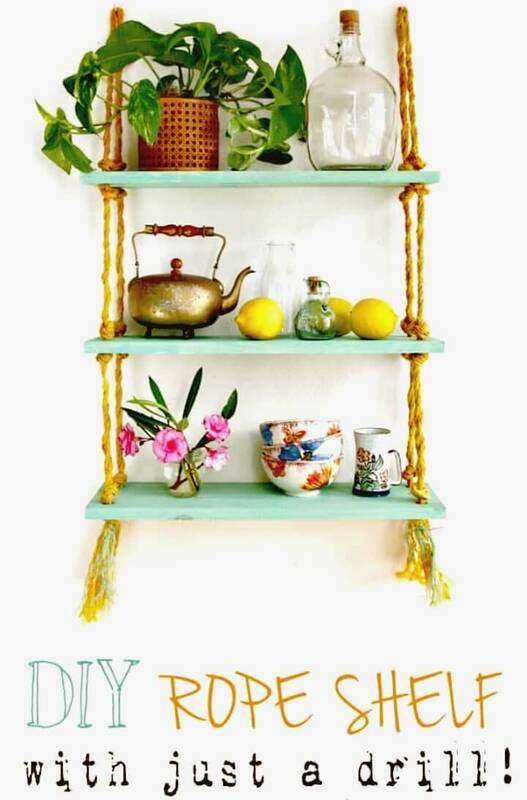 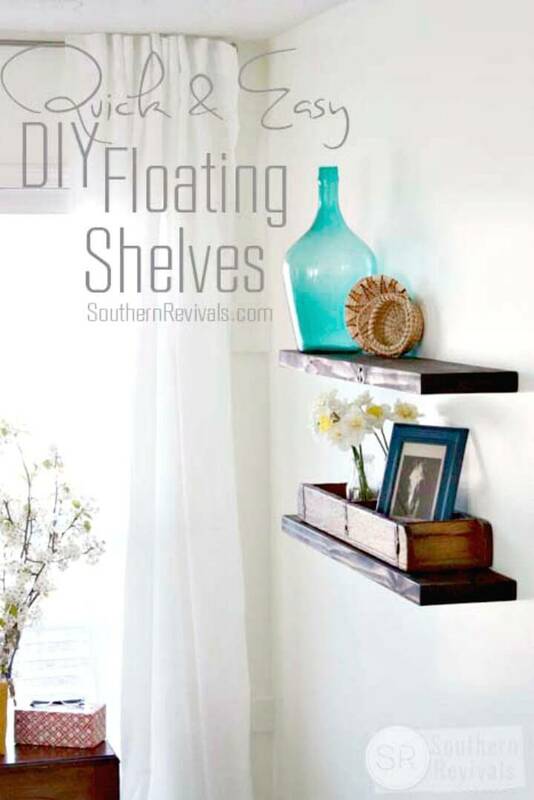 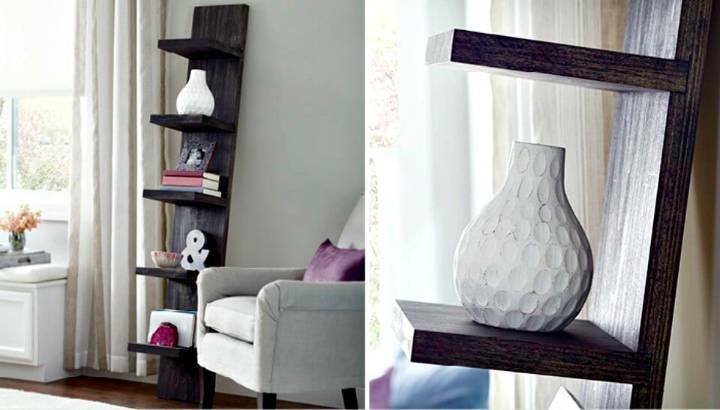 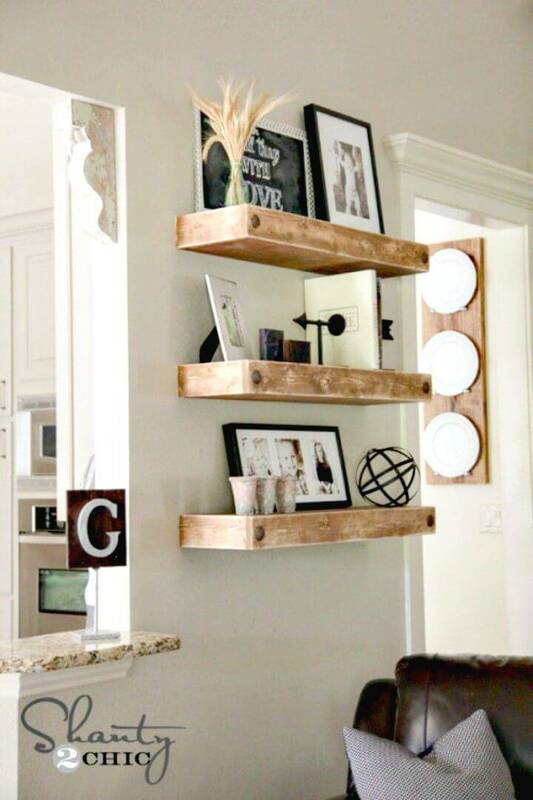 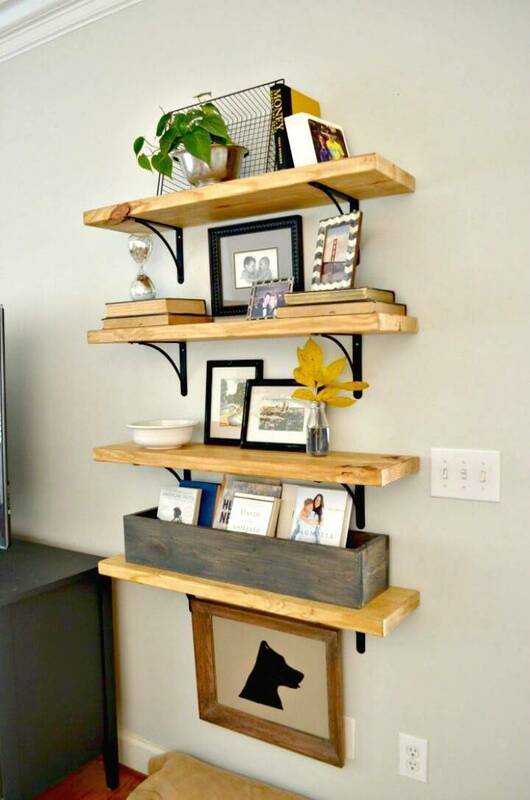 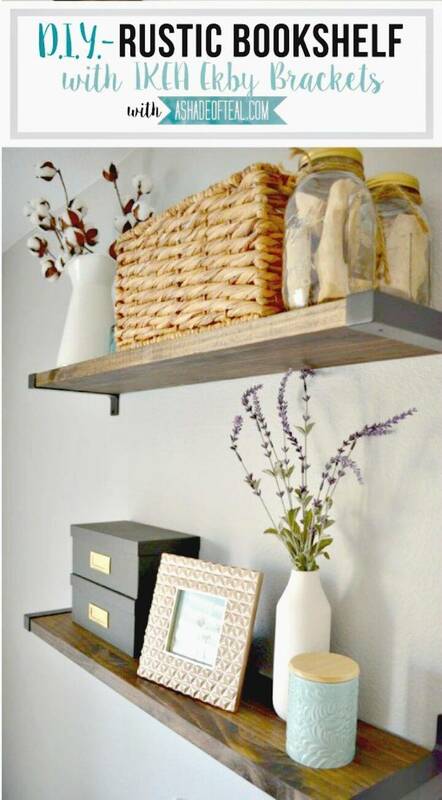 Make chunky wooden floating shelves that will come in handy for both storage and display purposes and check out some dashing samples given below in the list! 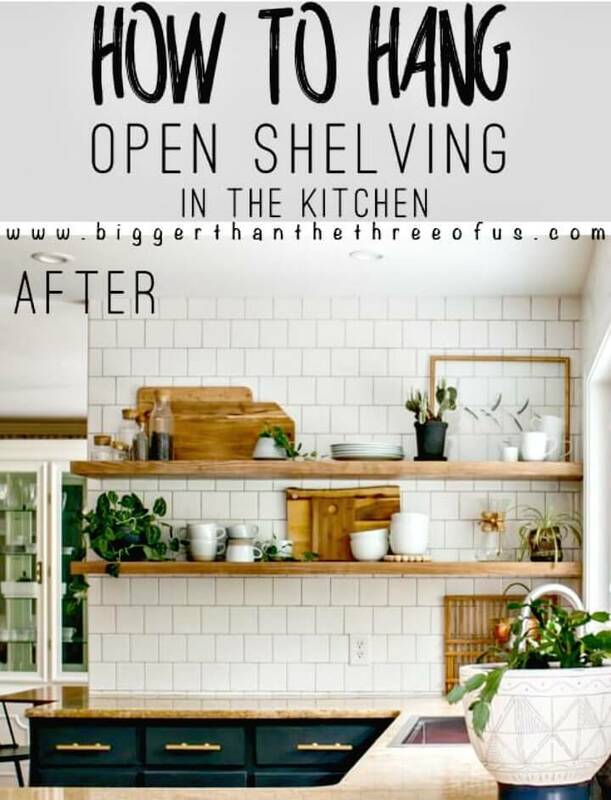 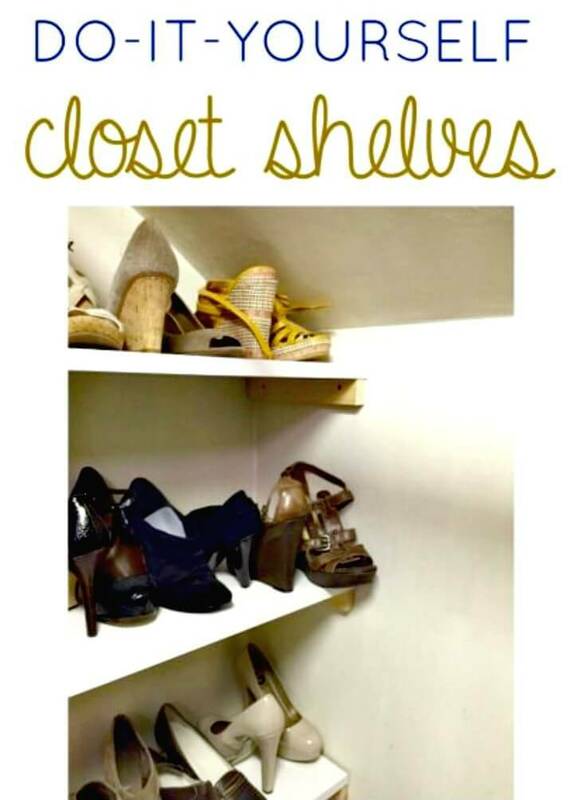 Next also install bigger shelving wall to your interior spaces that will come with custom built-in compartments and shelves and will be super easy to install also! 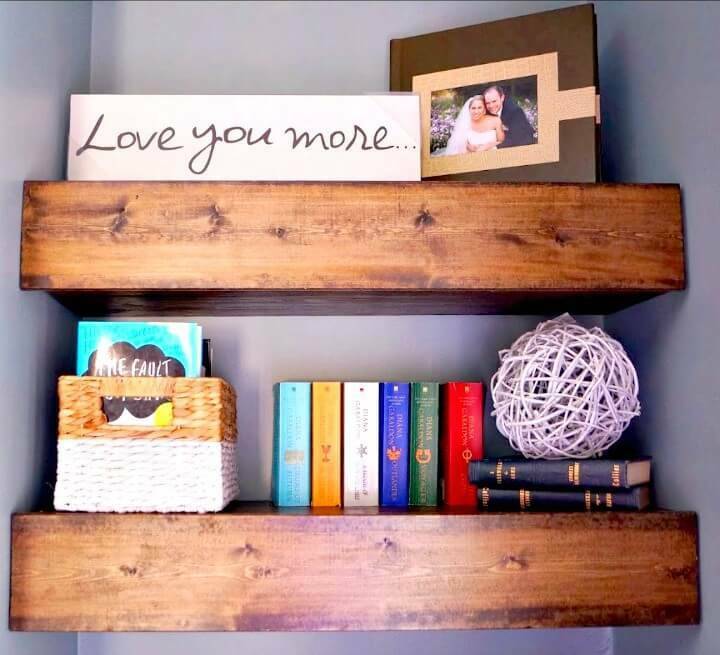 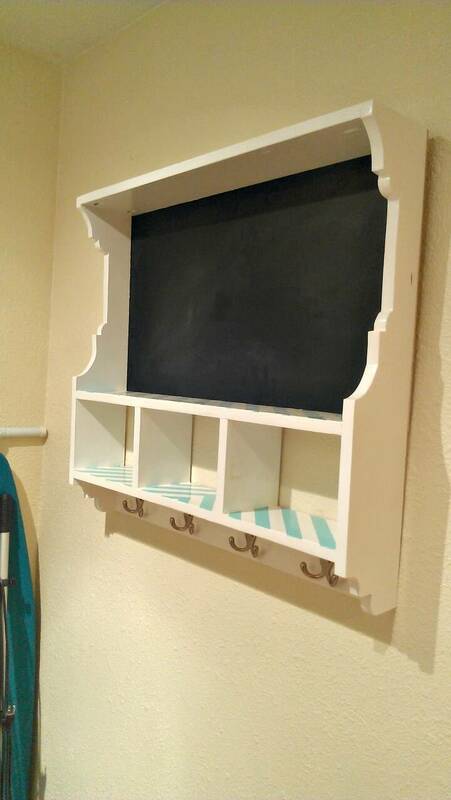 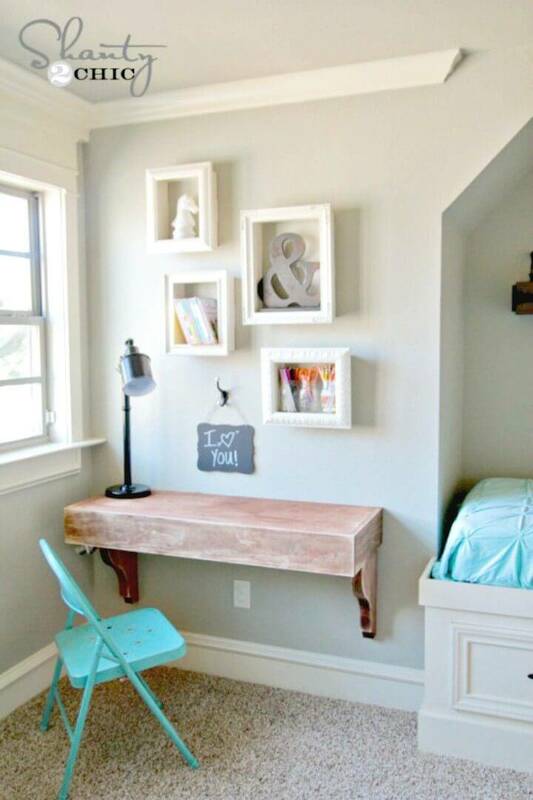 Lift up the mood of any of your room by installing custom corner shelves that will be quick to build and also make also the chalkboard cubby wall shelves that will be much visually attractive and pleasing to look at! 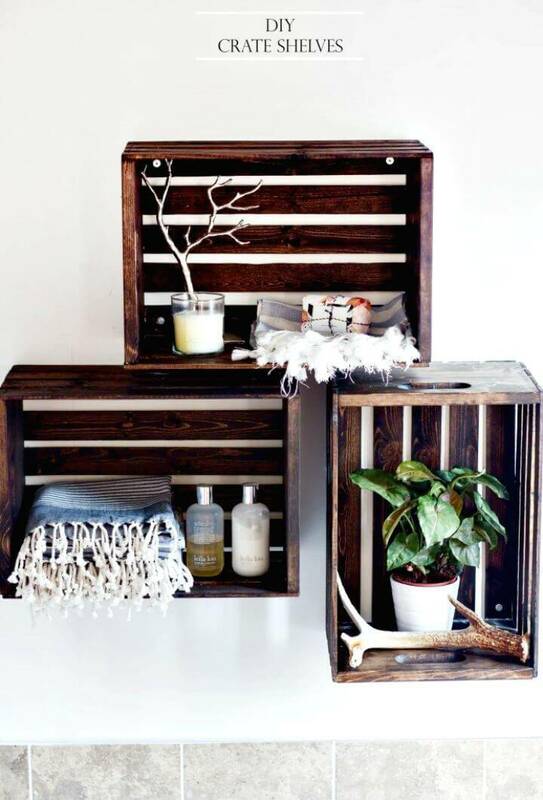 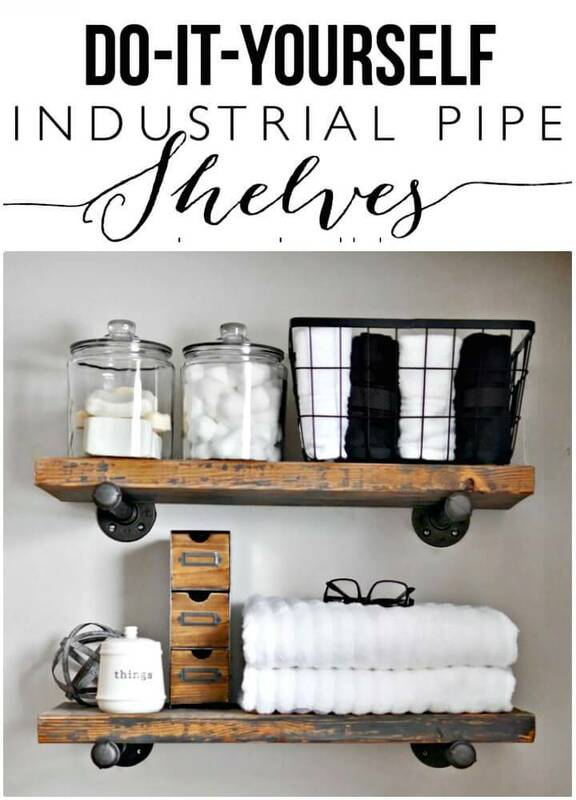 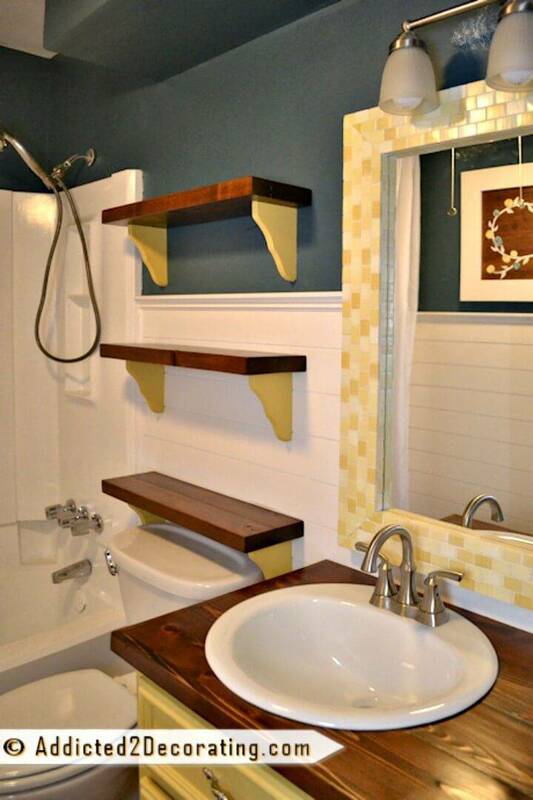 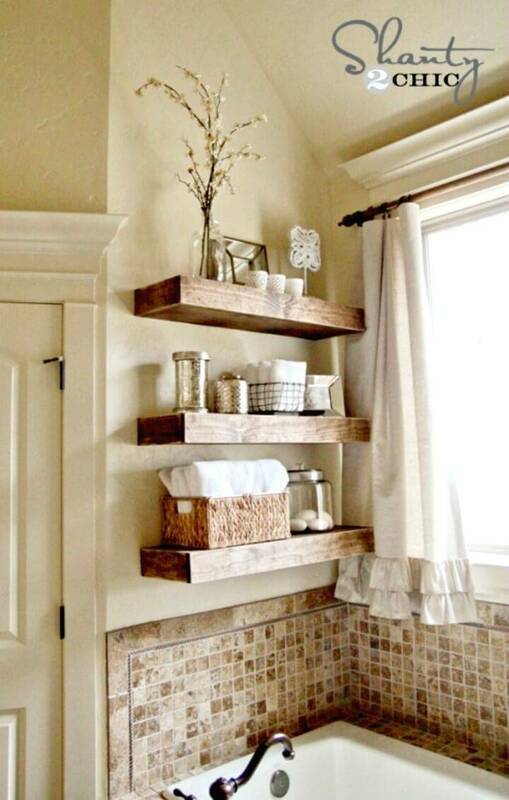 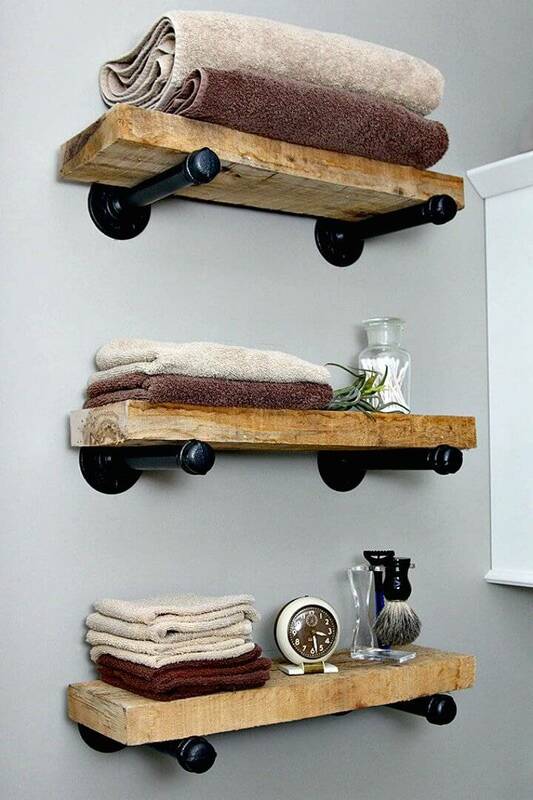 Next spruce up your interiors also by installing custom wooden toiletries shelves and also install the industrial style shelving schemes using metal pipe and custom wooden shelf bars! 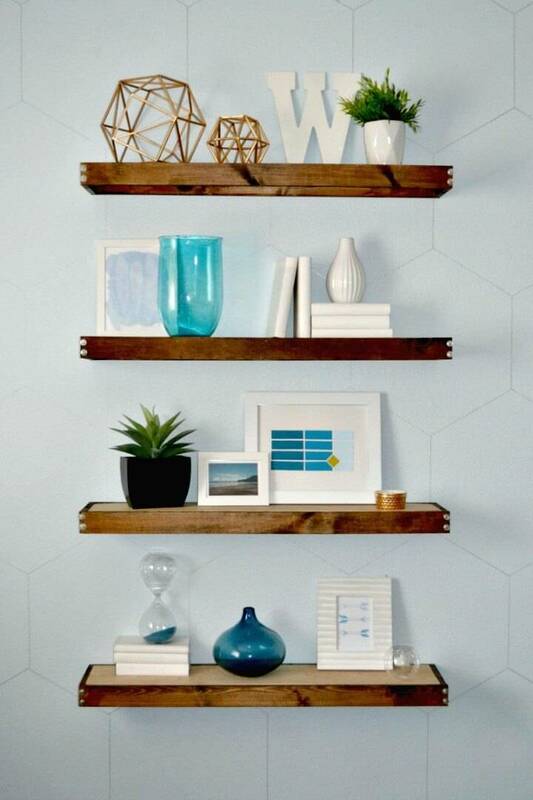 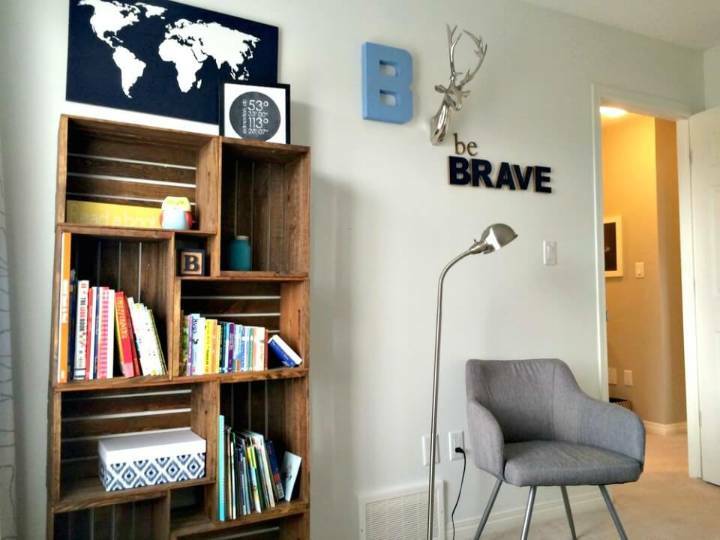 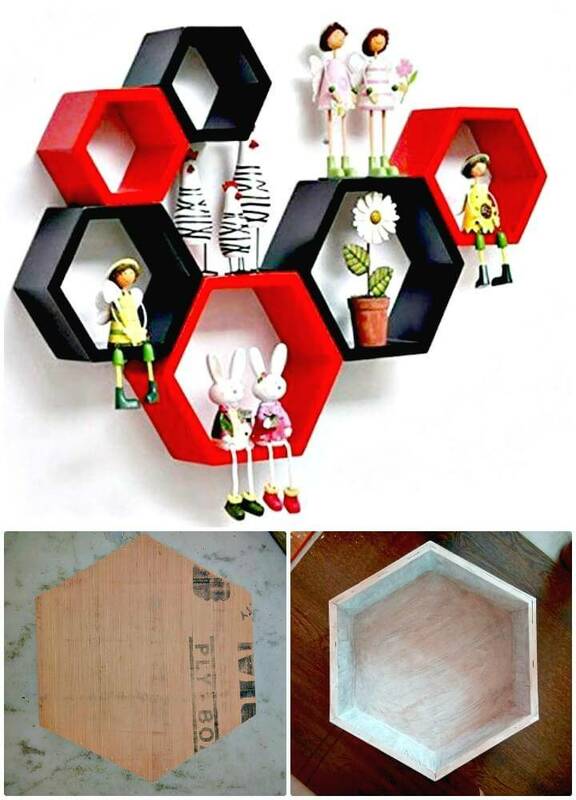 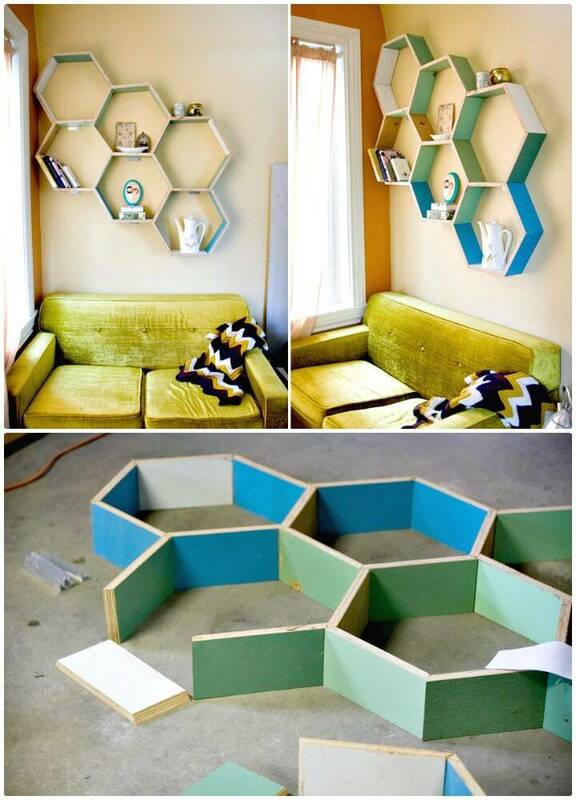 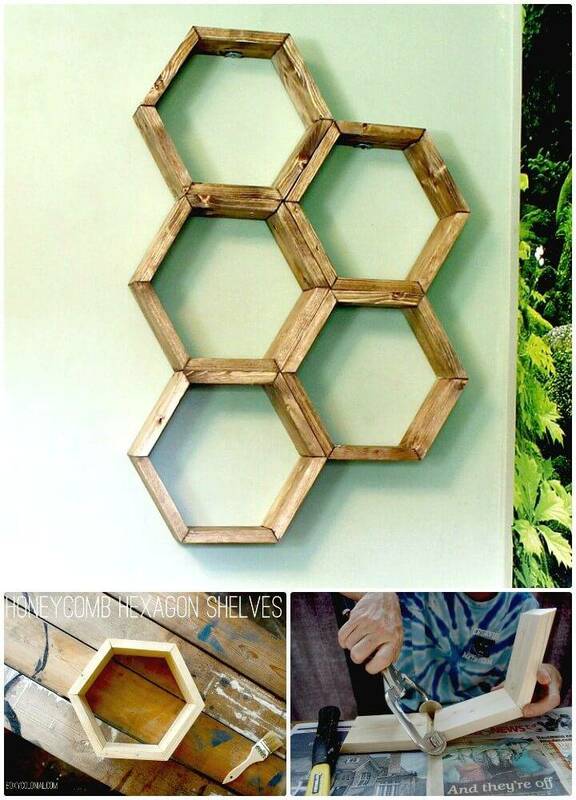 Reclaim also the old drawers to make fetching display wall shelves and also install the mind-blowing honeycomb wall shelves that will make bring great geometrical statements to any of your interior walls! 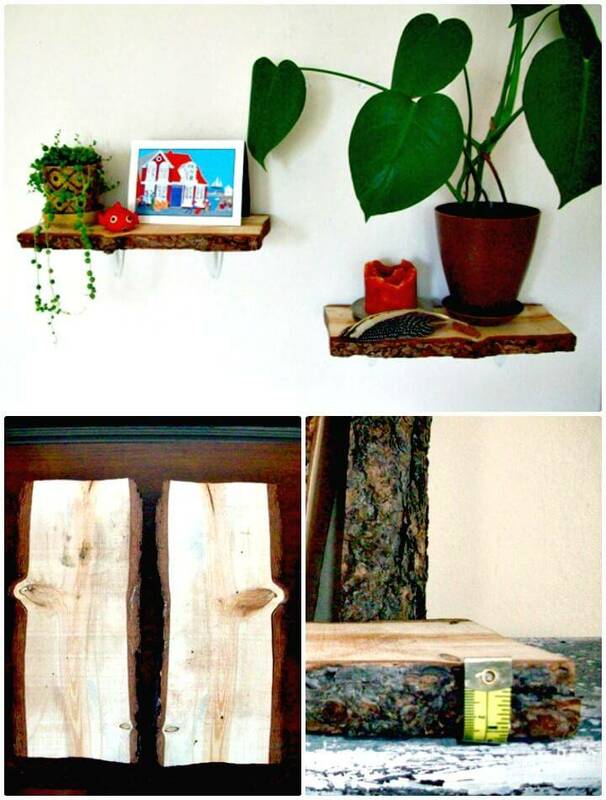 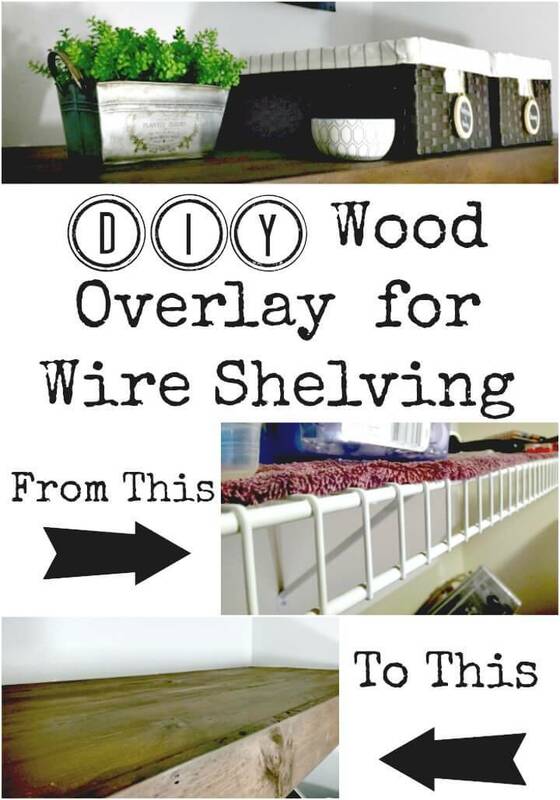 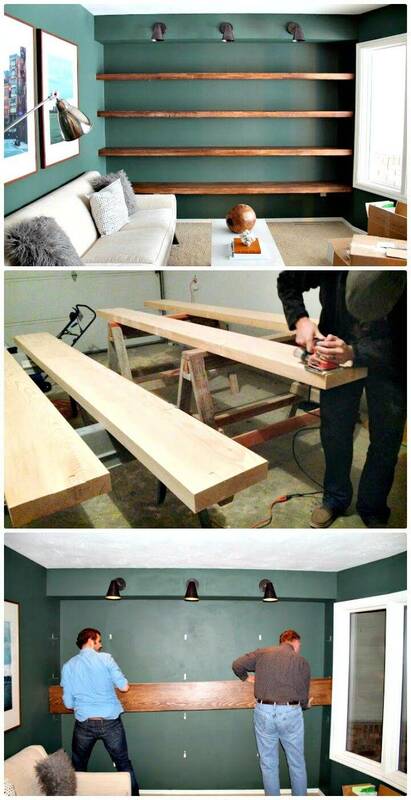 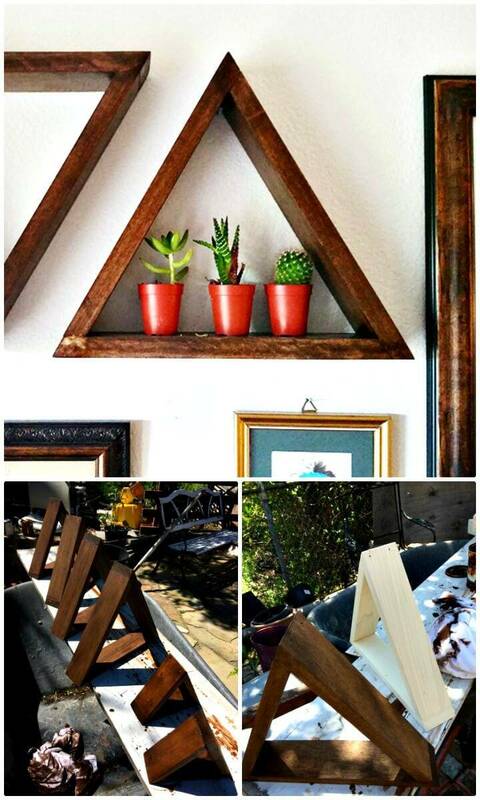 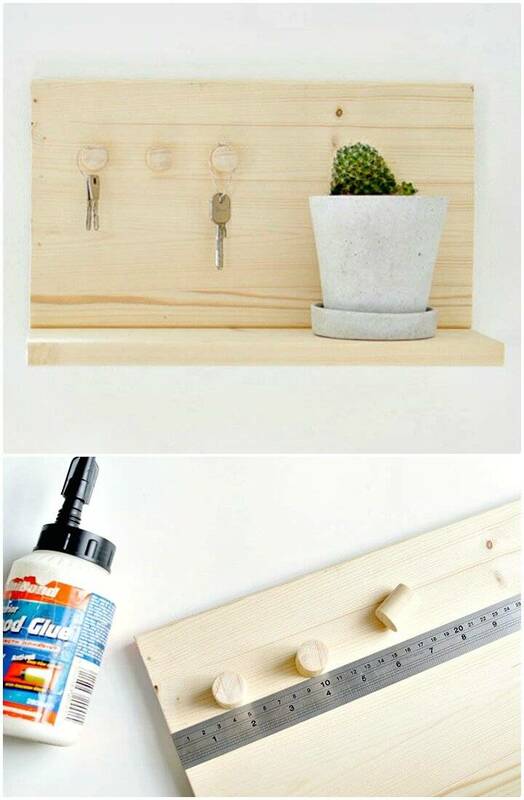 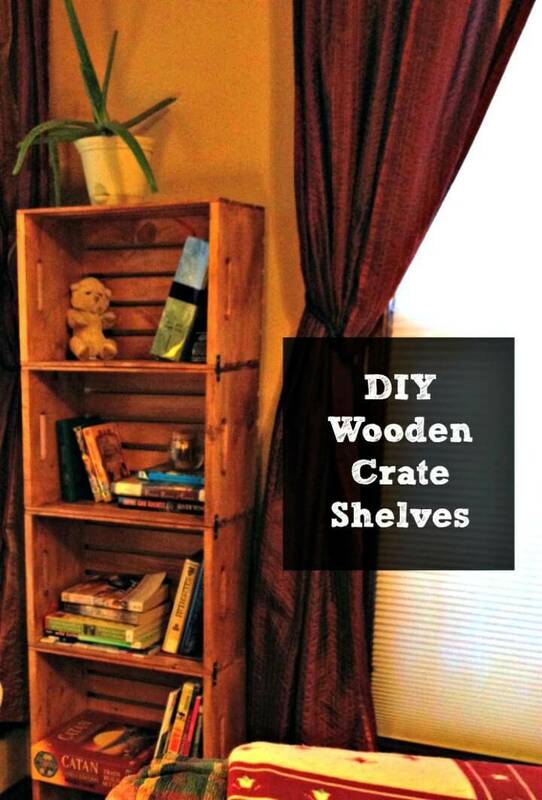 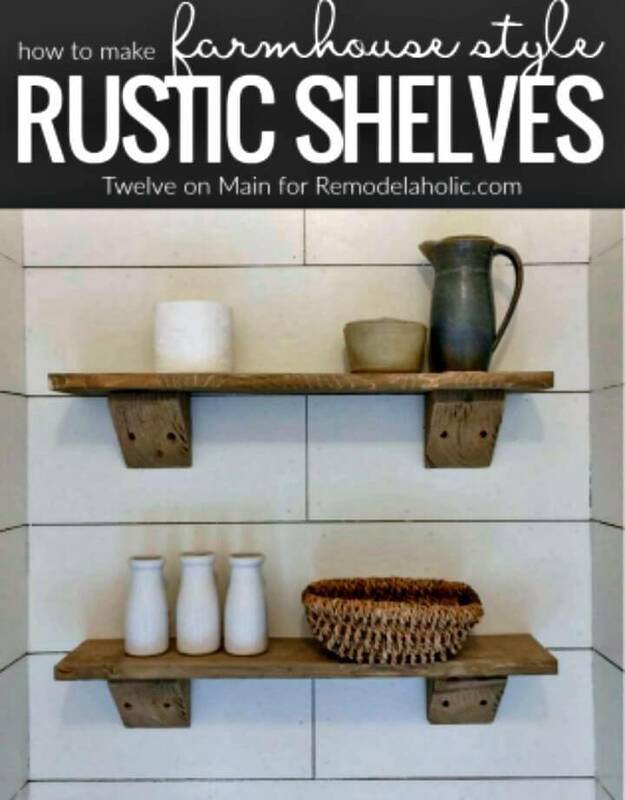 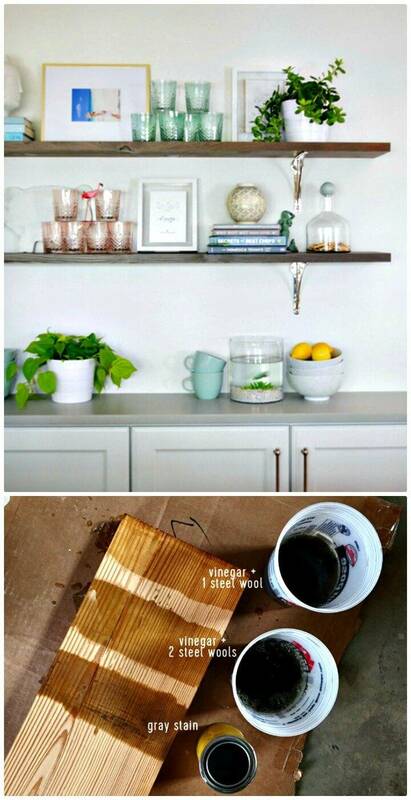 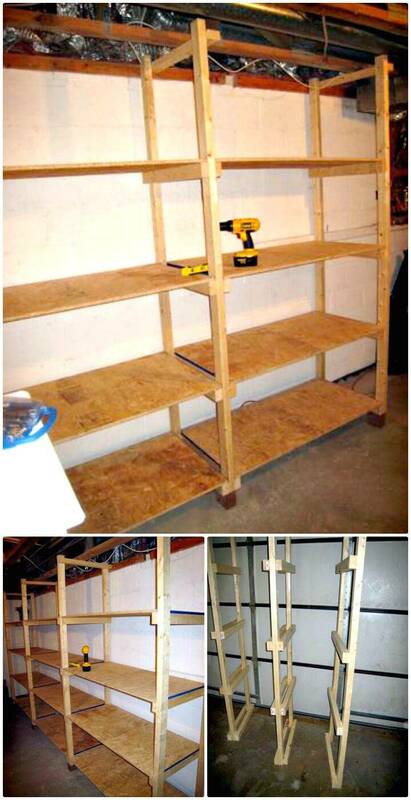 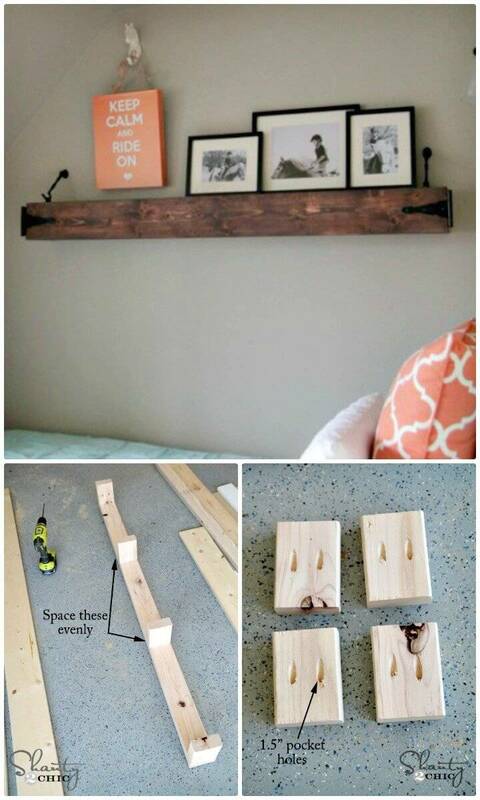 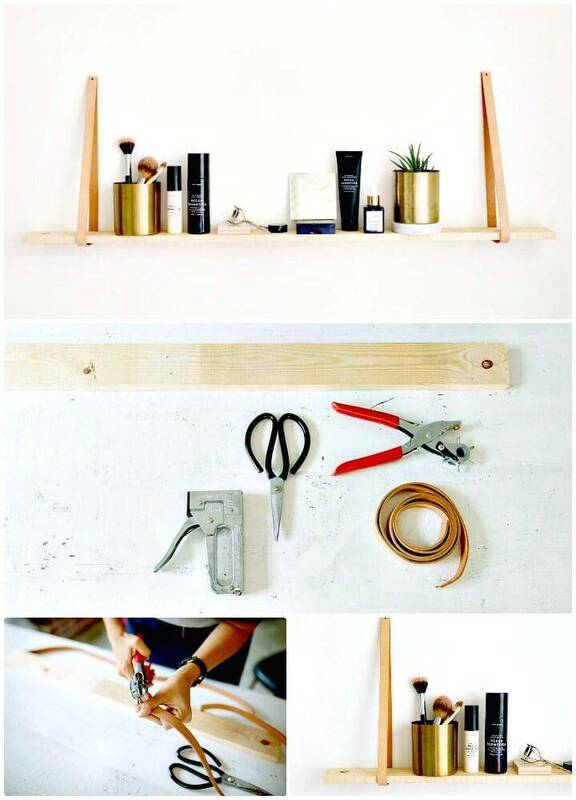 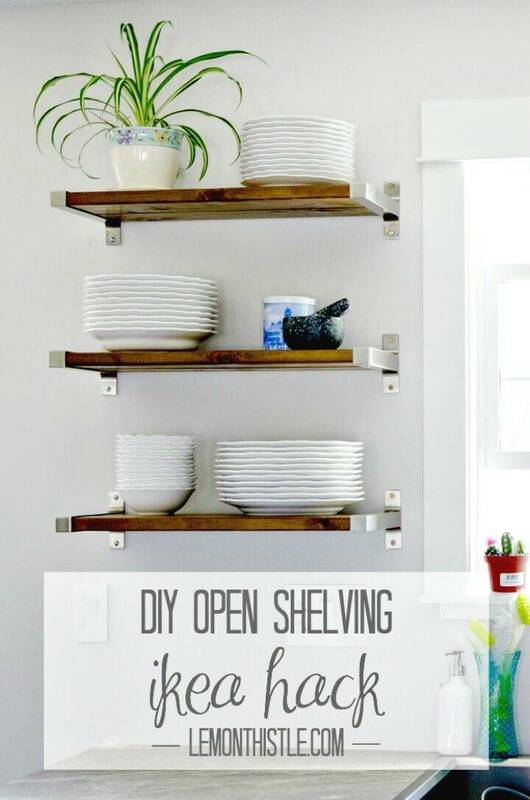 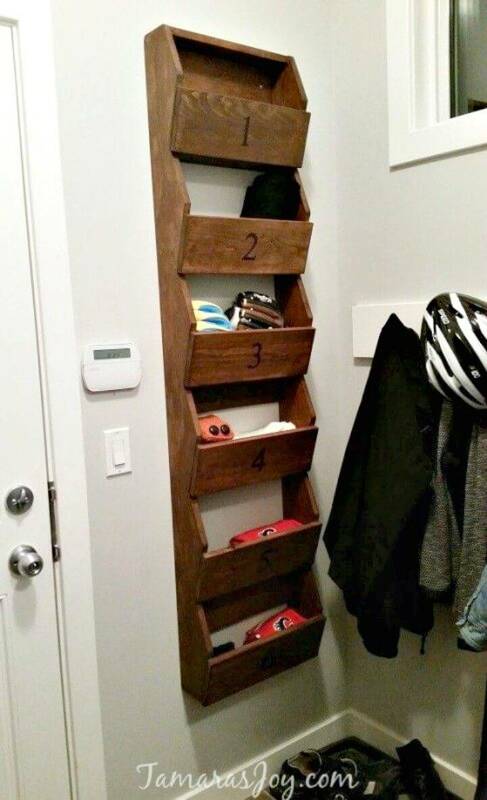 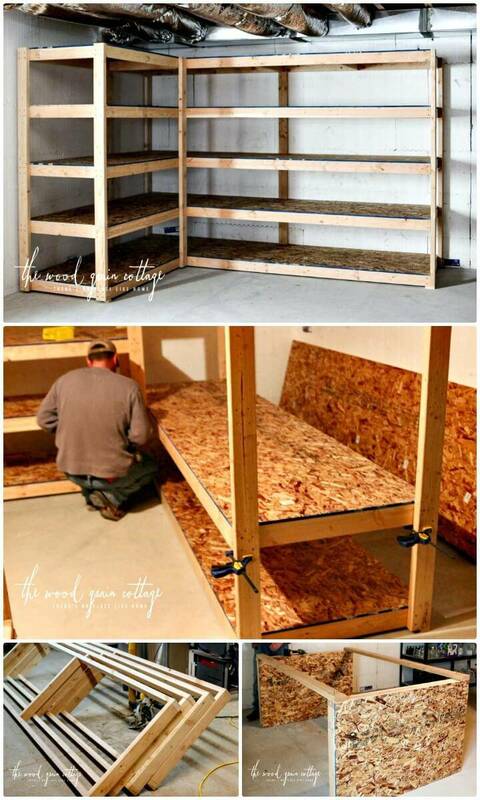 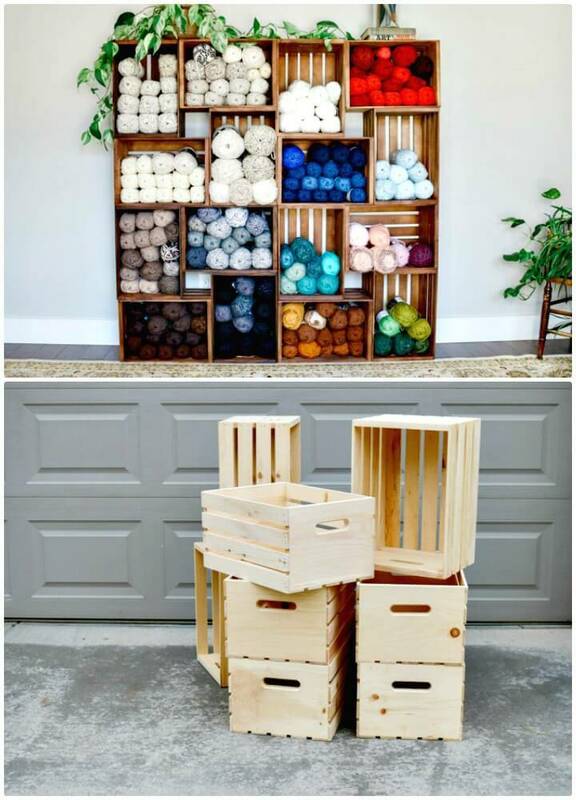 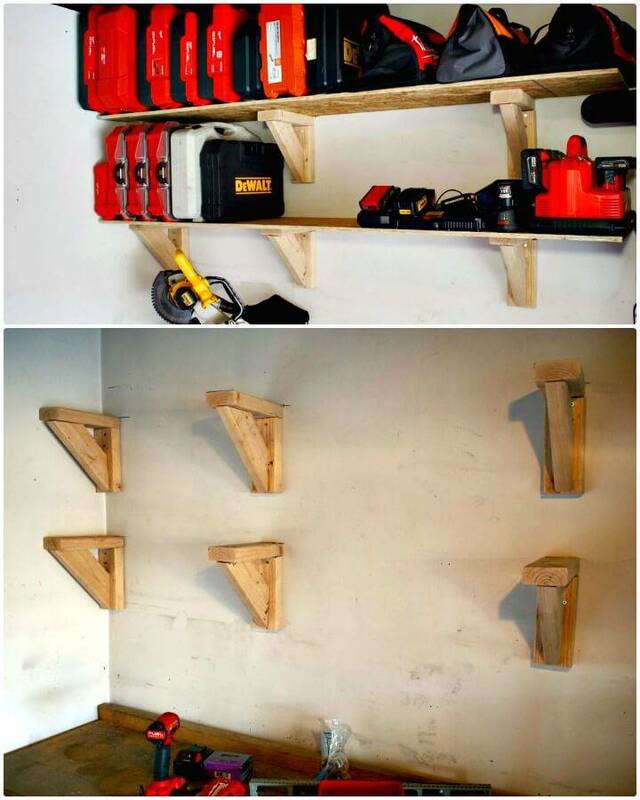 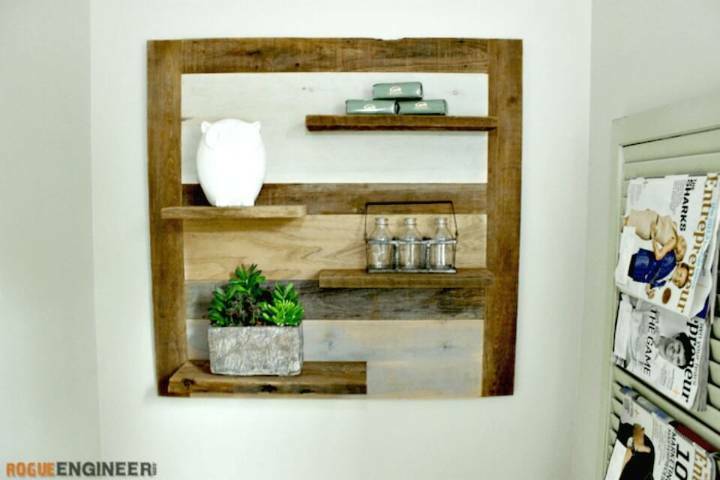 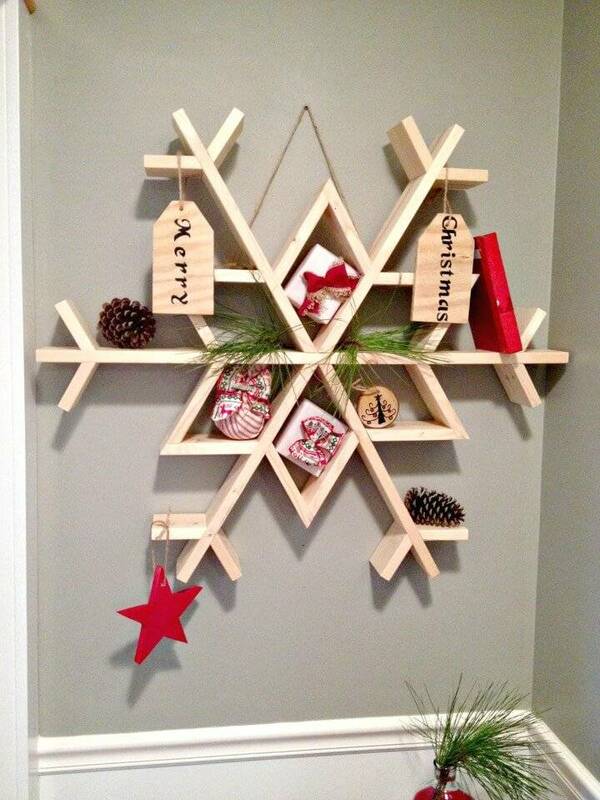 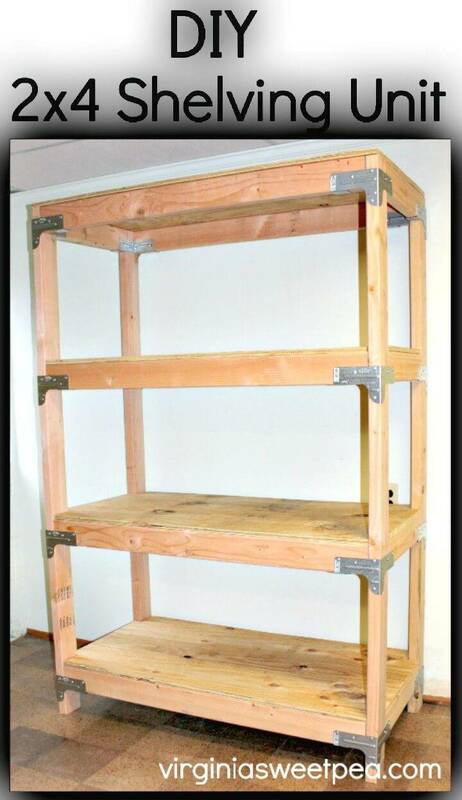 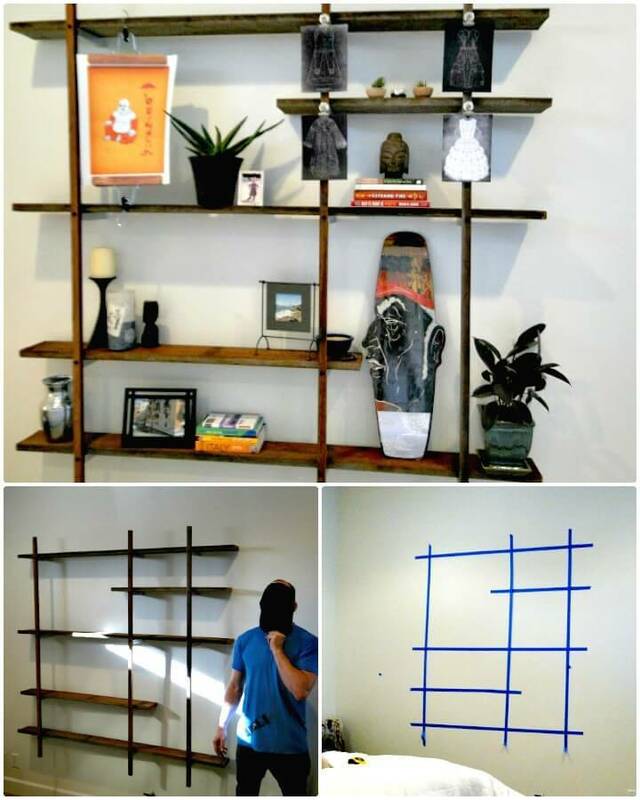 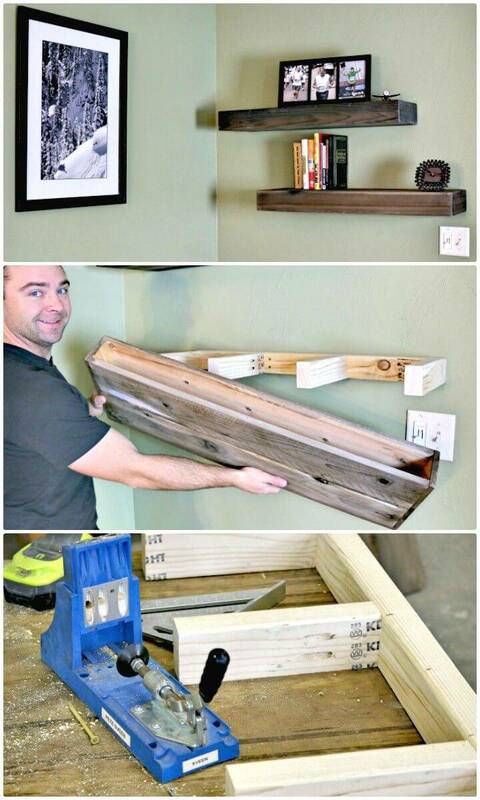 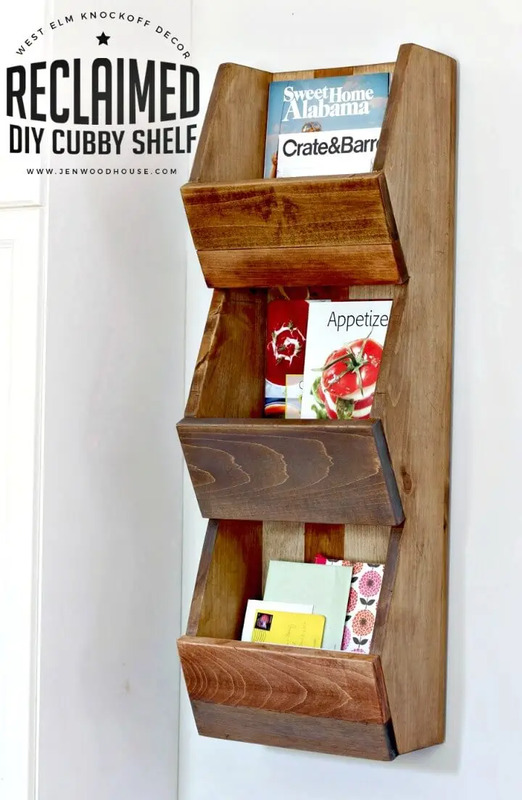 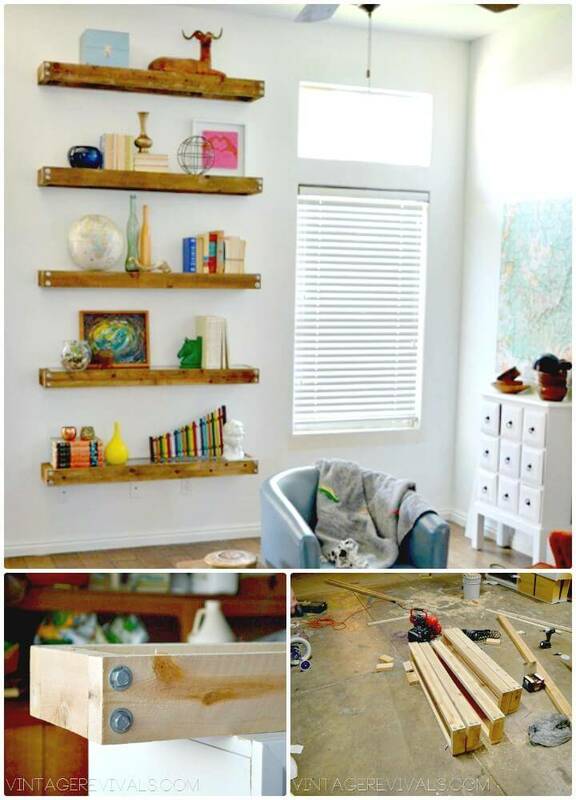 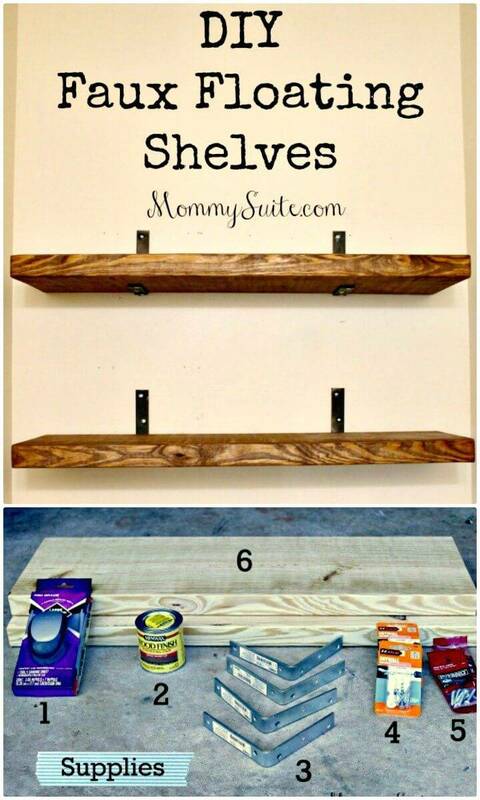 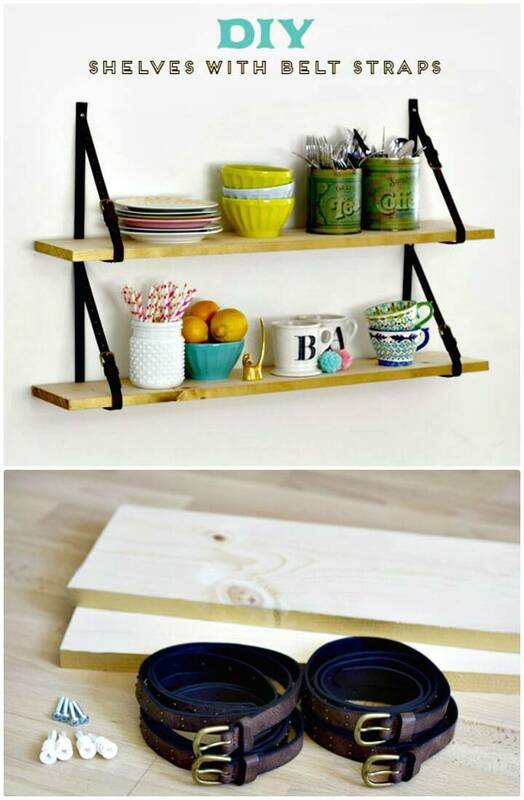 Check out some amazingly beautiful wood wall DIY shelves projects more given in the list that would be a big breeze to duplicate! 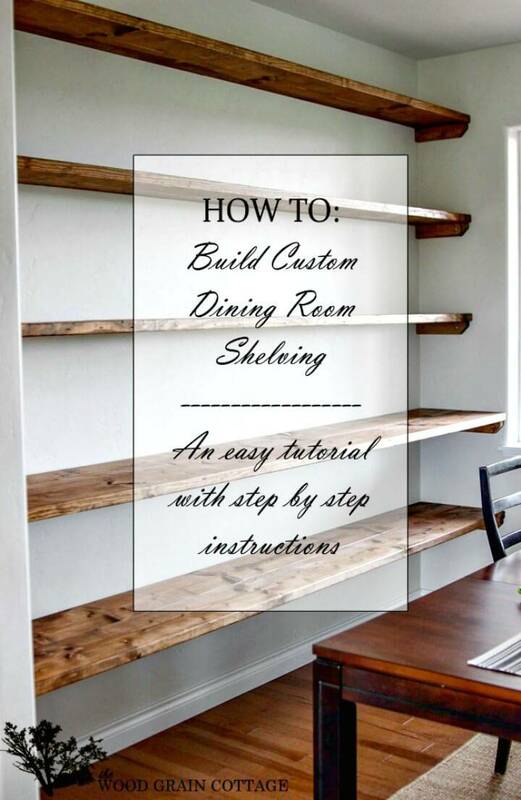 For complete project details, step-by-step tutorial and instructions just hit the attached source links! 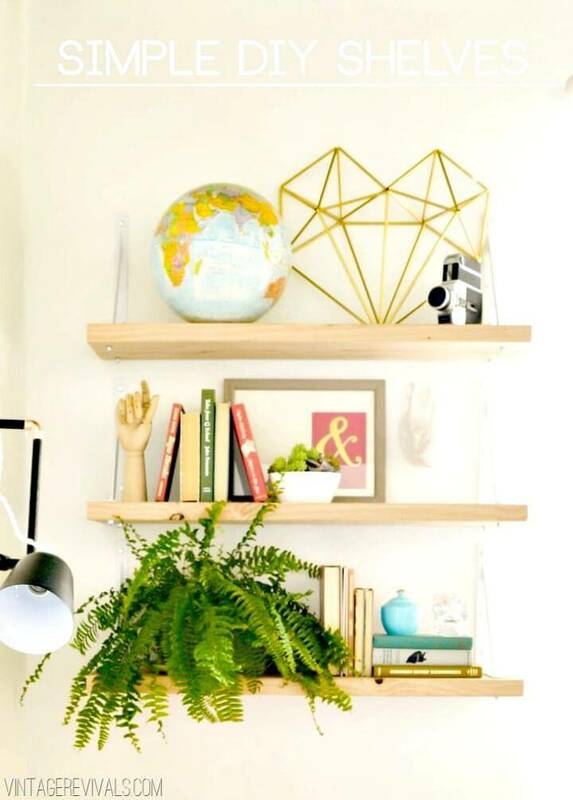 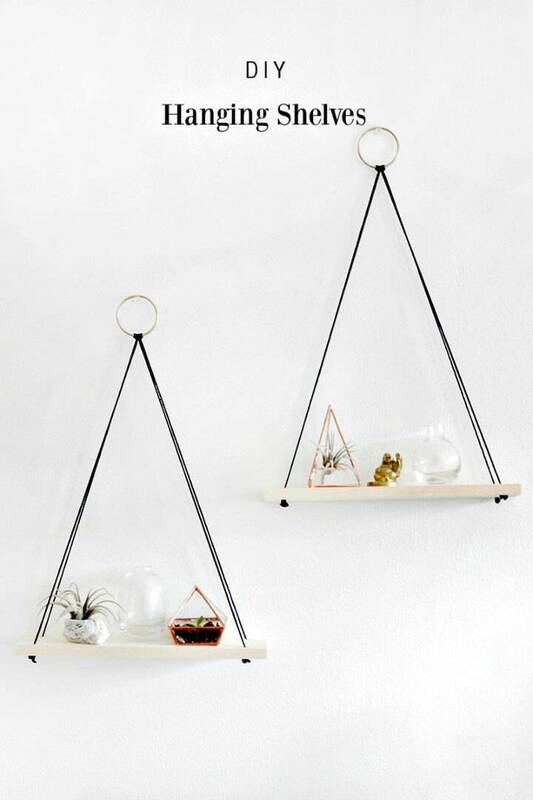 If you are looking for some accent display shelves then here is what you looking frame, the super beautiful frame shelves, made to amaze and boost the wall decors! 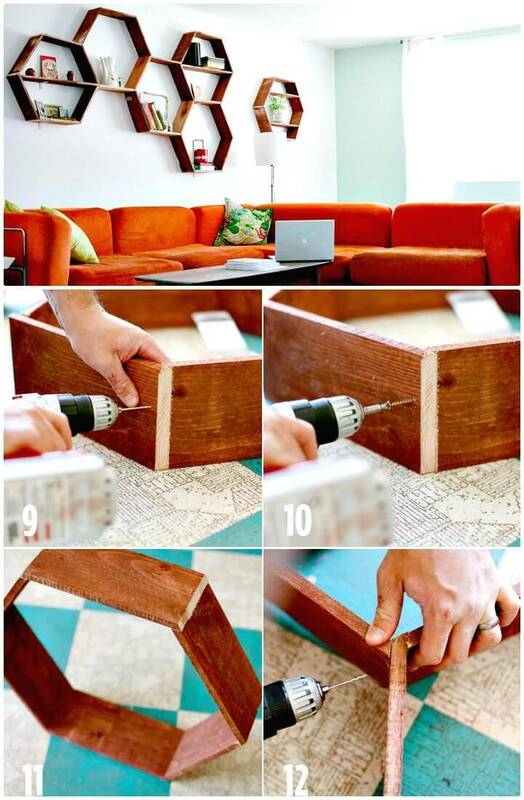 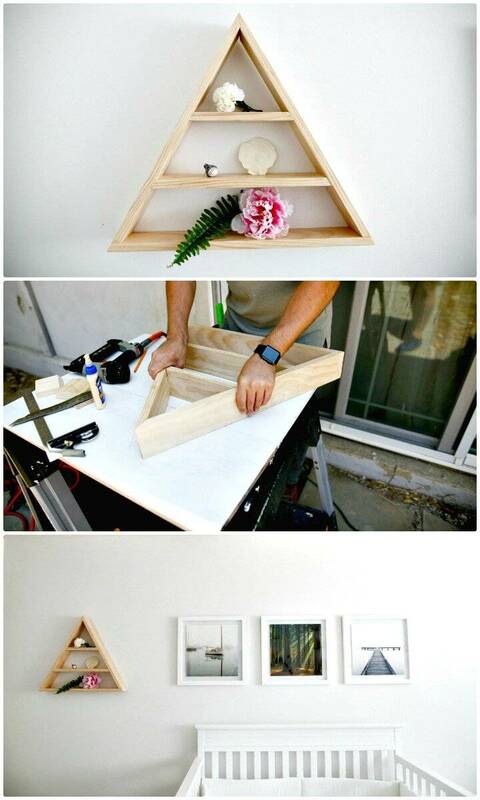 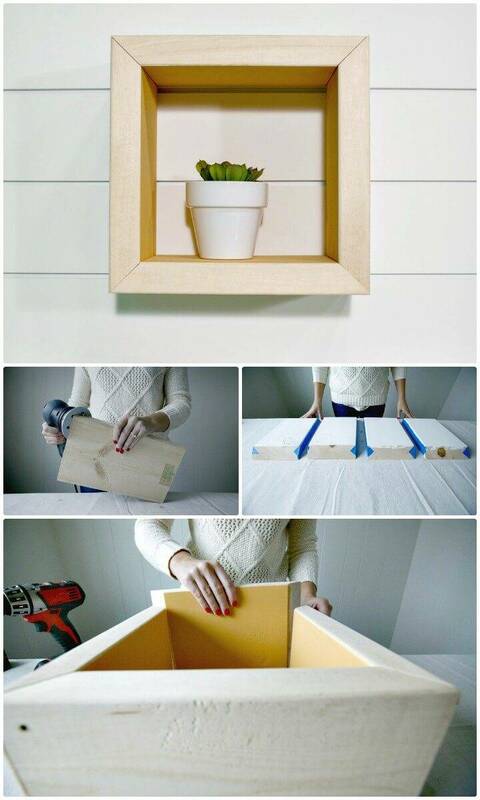 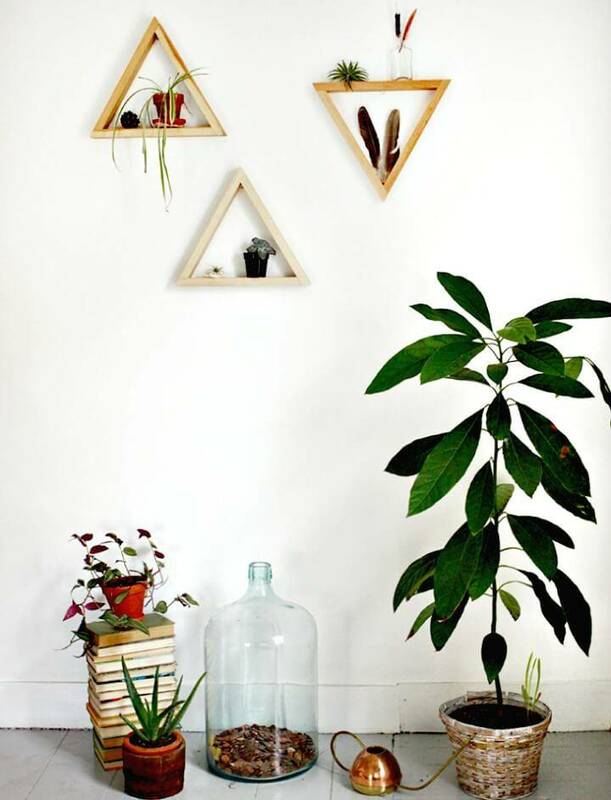 The idea here is just to build the square shaped wooden frame which can then be topped up with old picture frames for a graceful look! 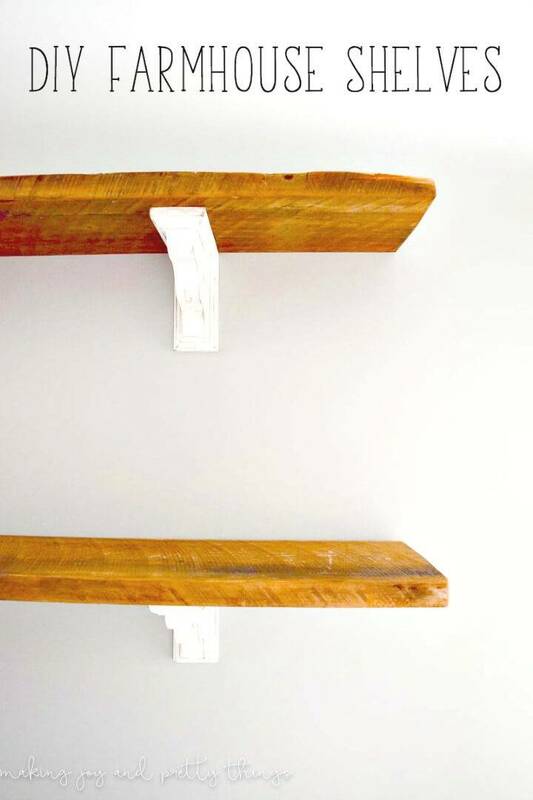 Here finally finished frame shelves have been painted n white and mounted on wall beautifully! 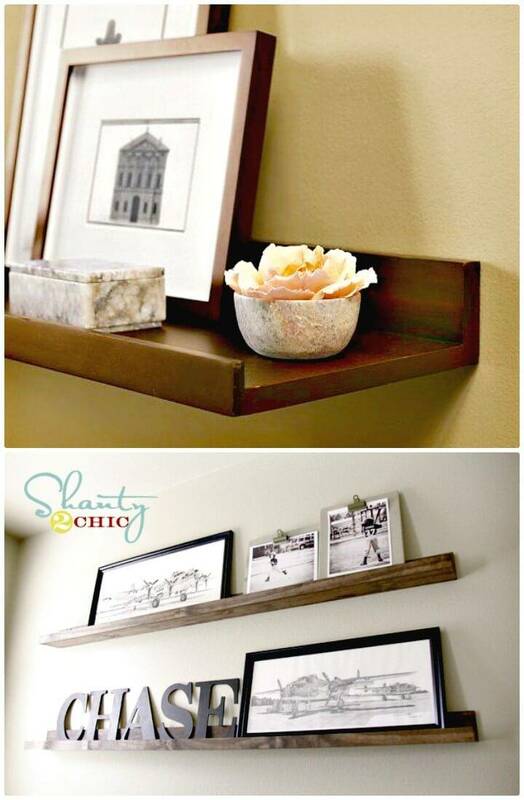 Complete project details here shanty-2-chic.